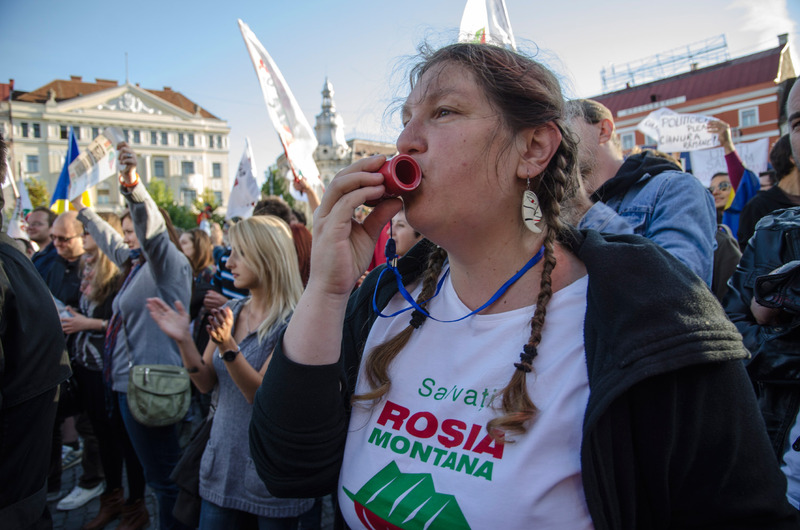 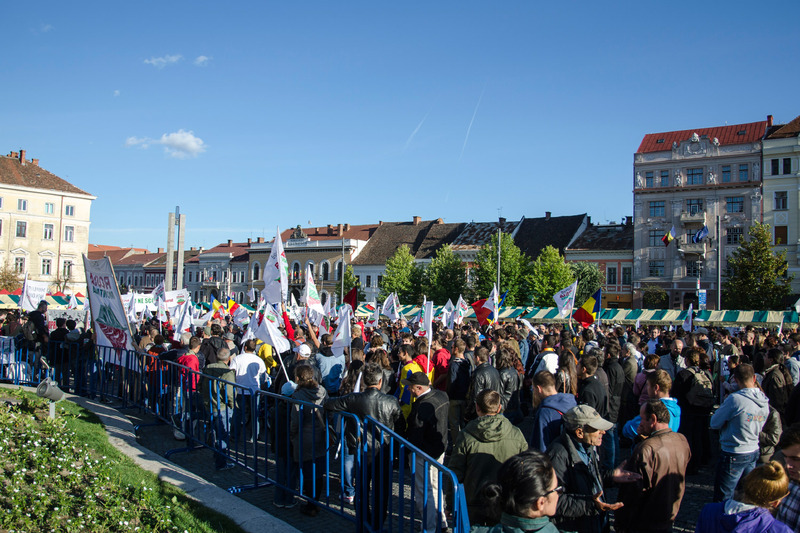 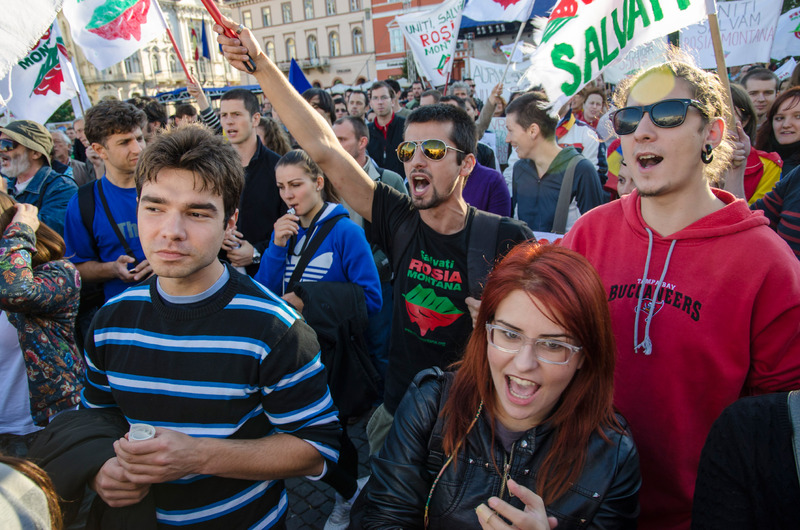 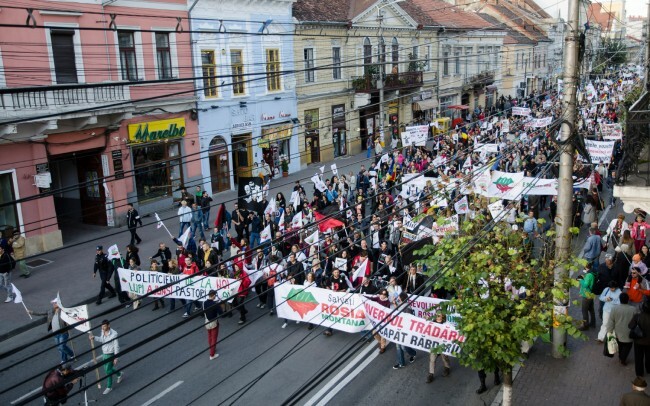 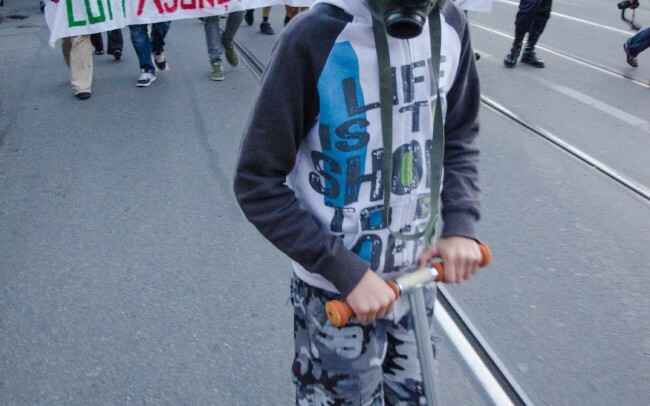 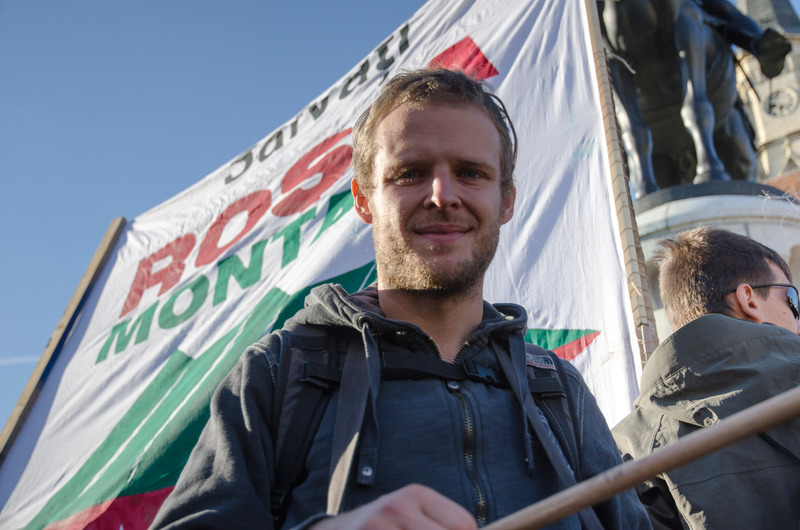 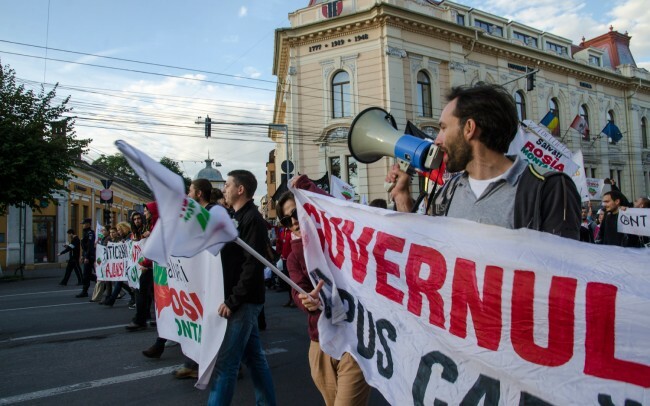 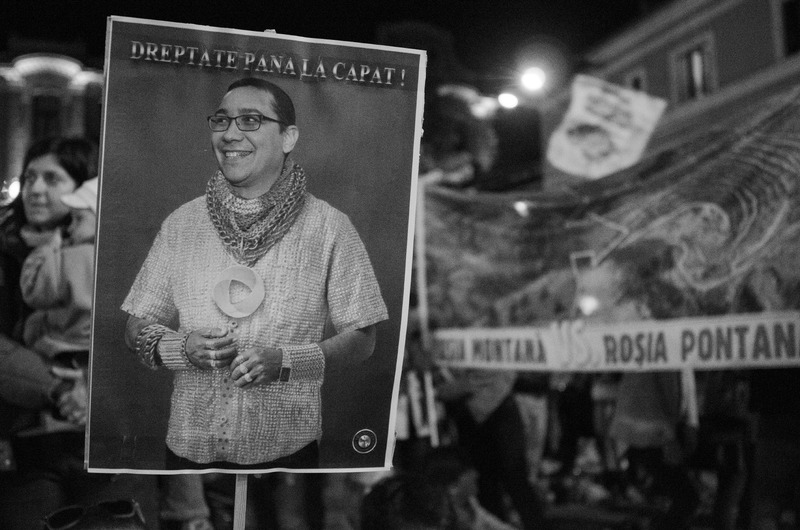 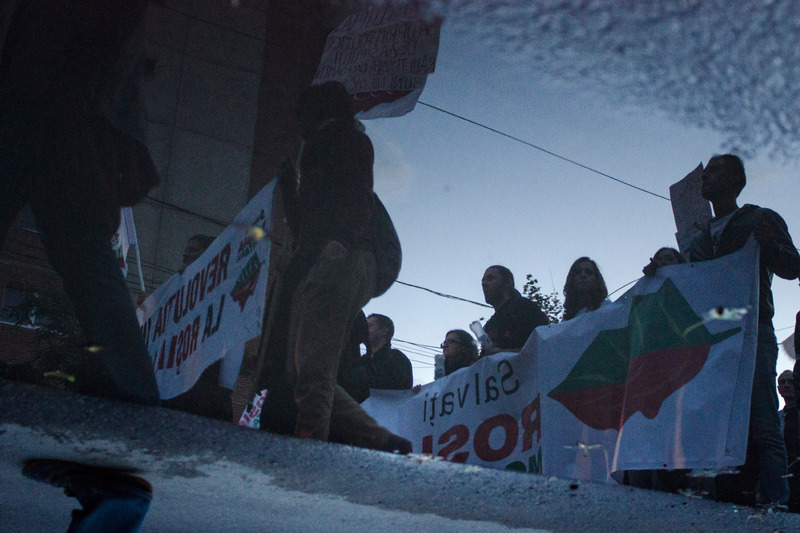 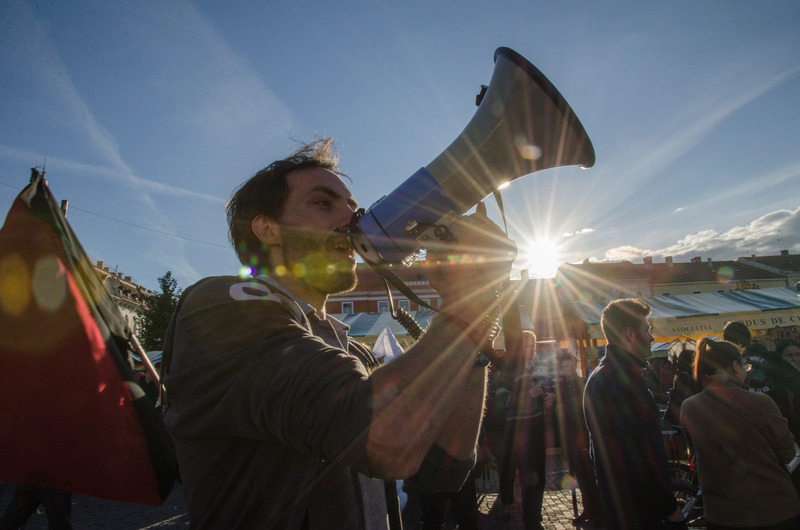 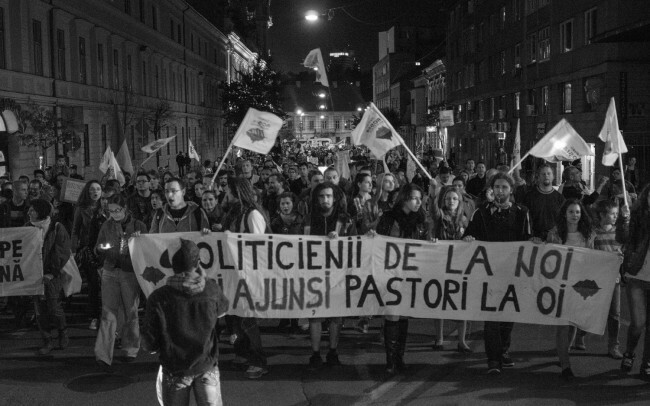 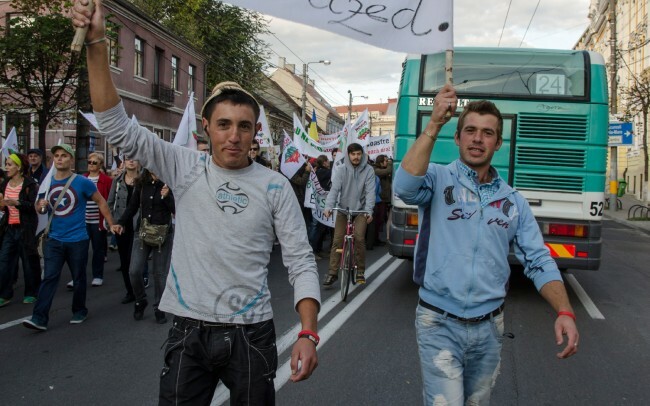 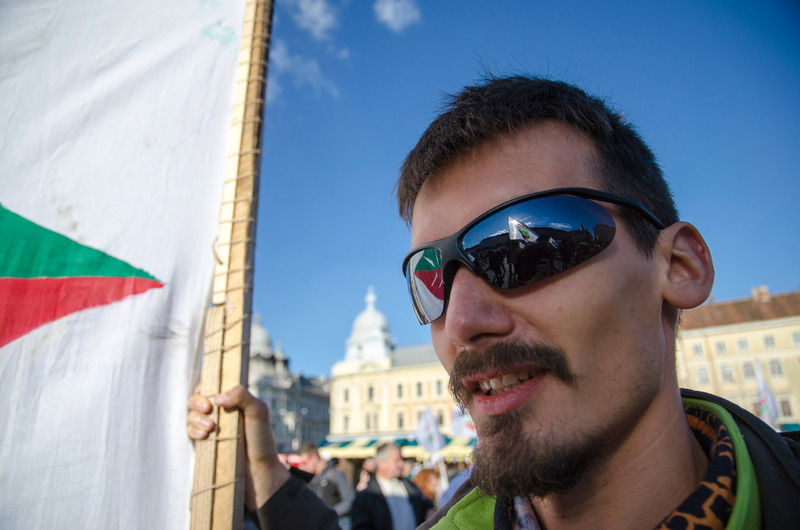 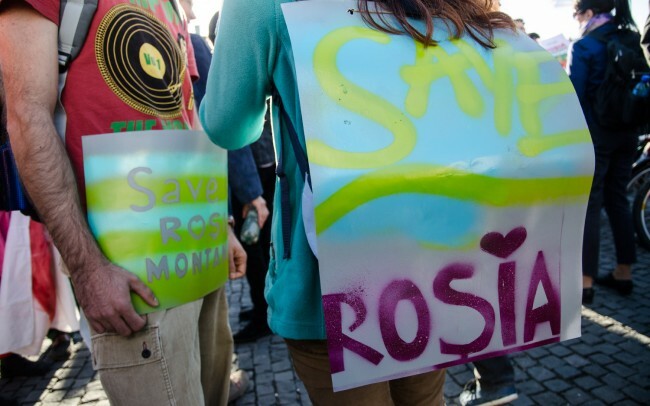 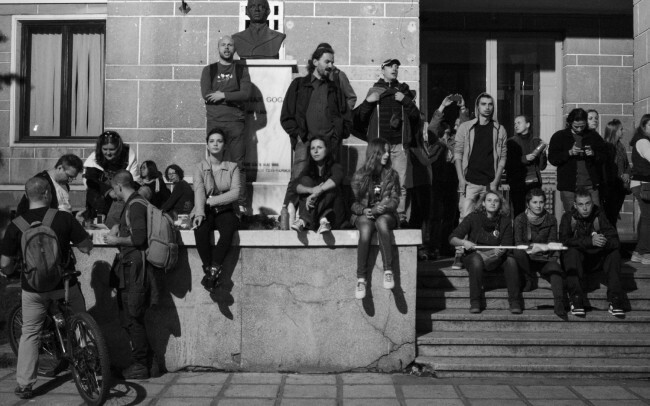 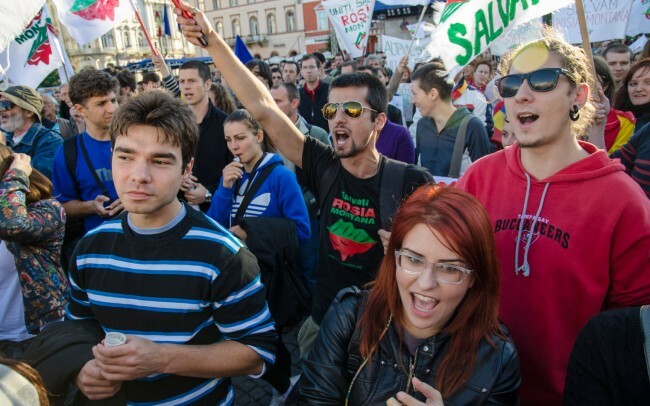 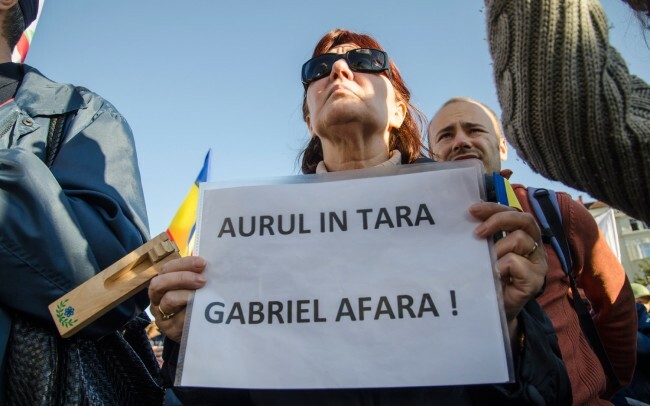 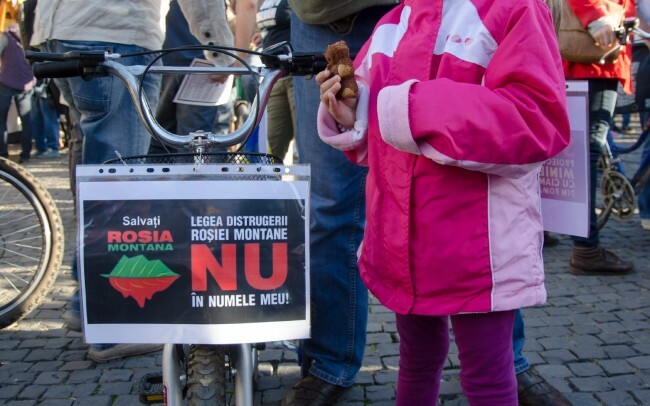 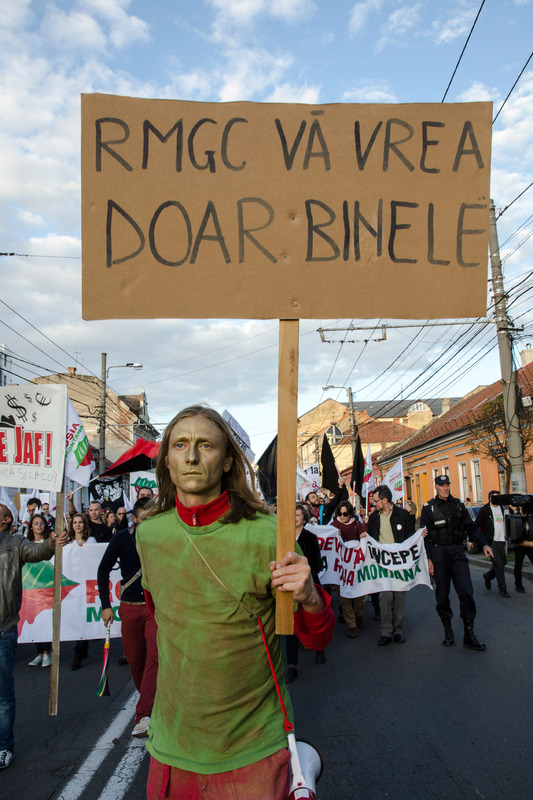 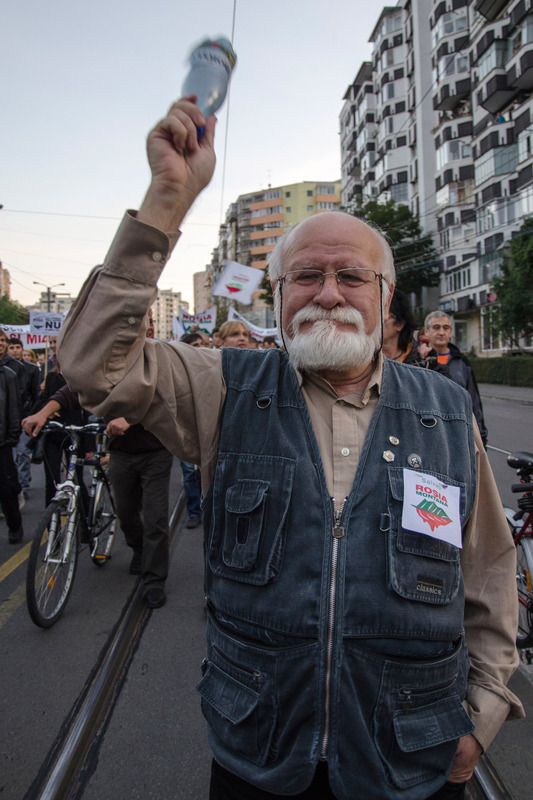 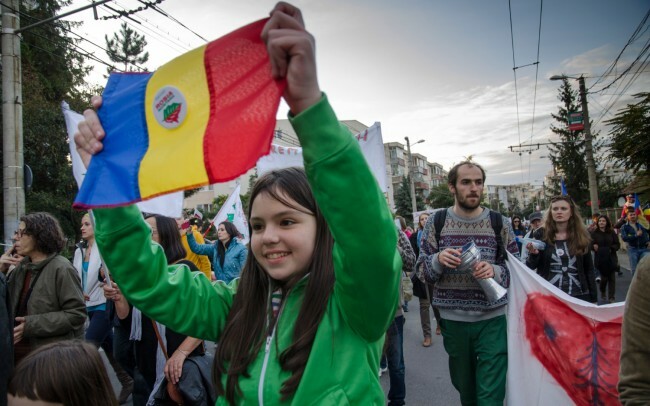 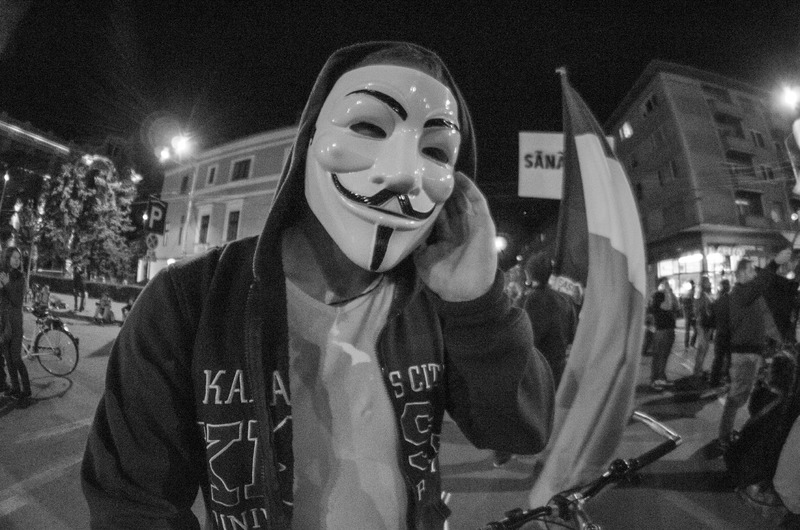 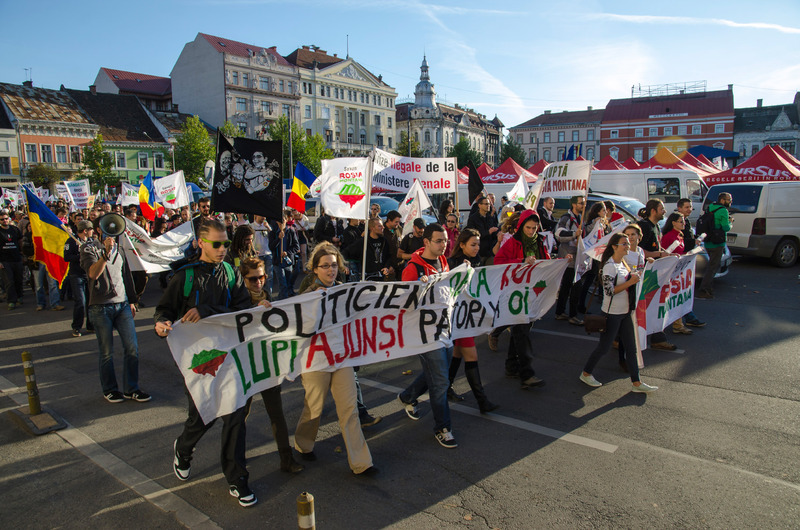 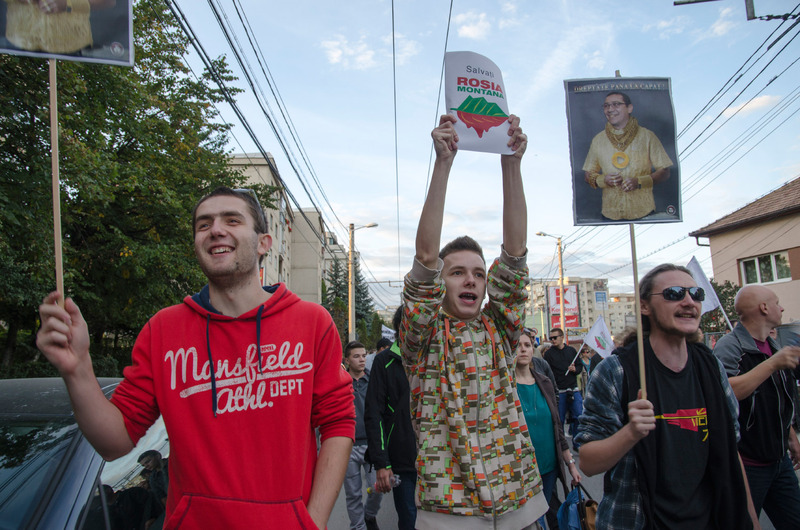 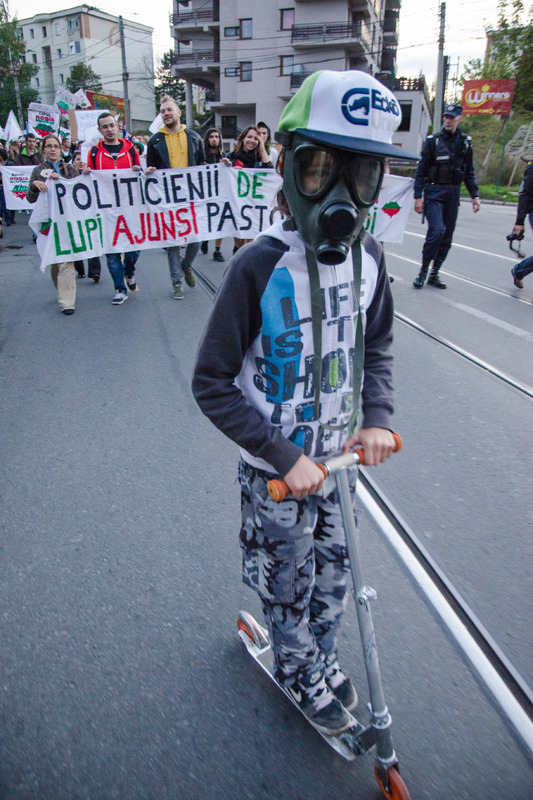 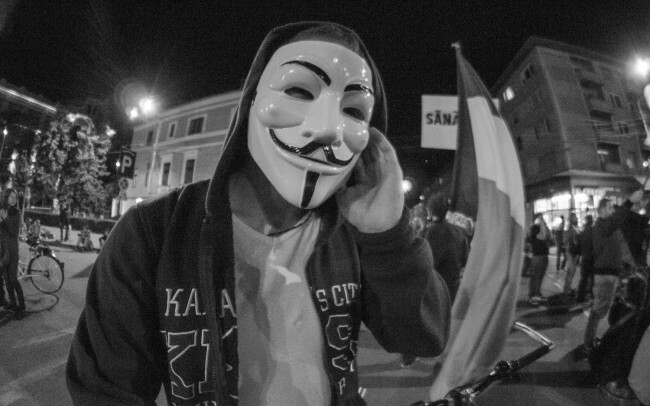 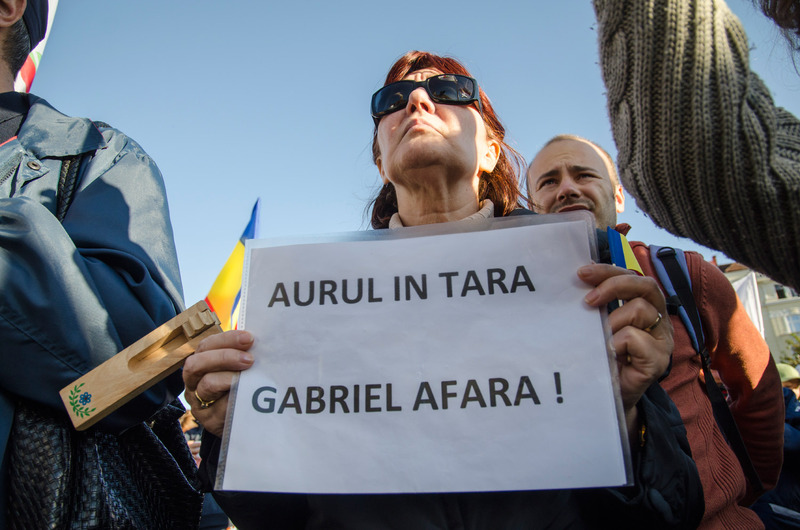 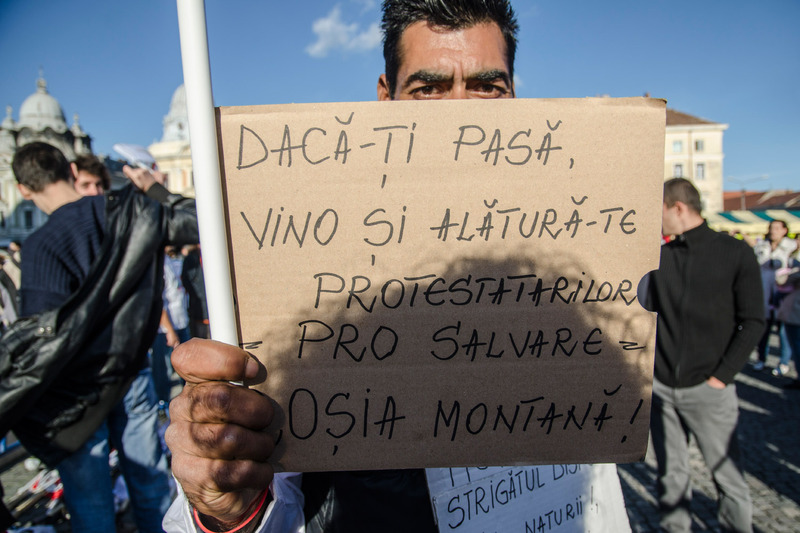 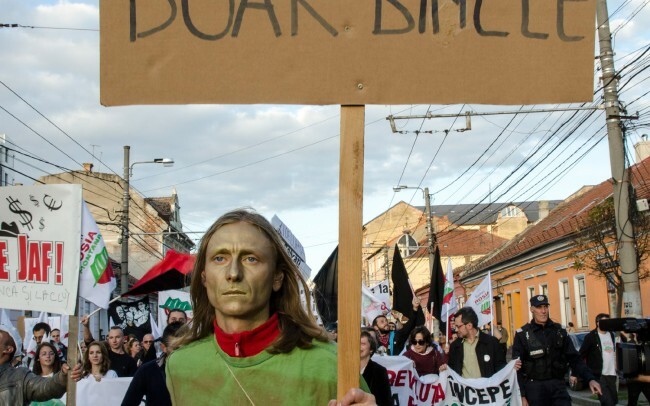 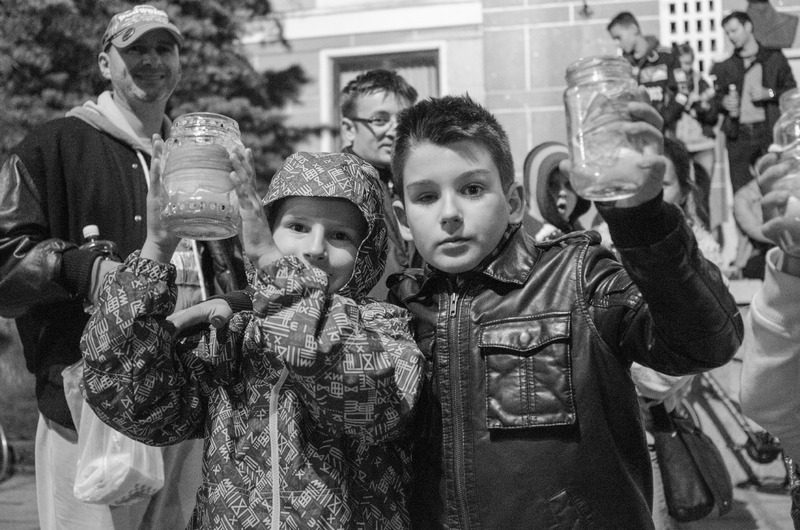 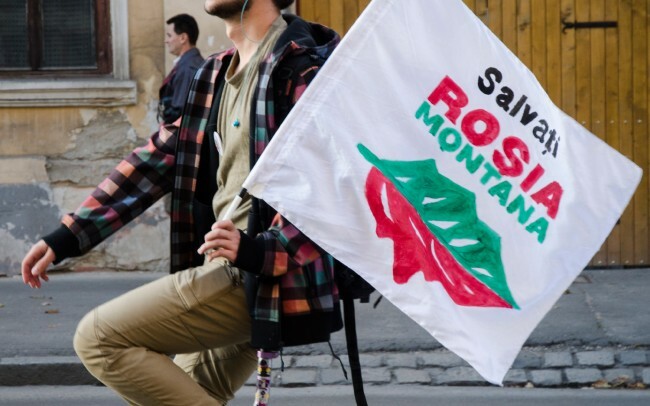 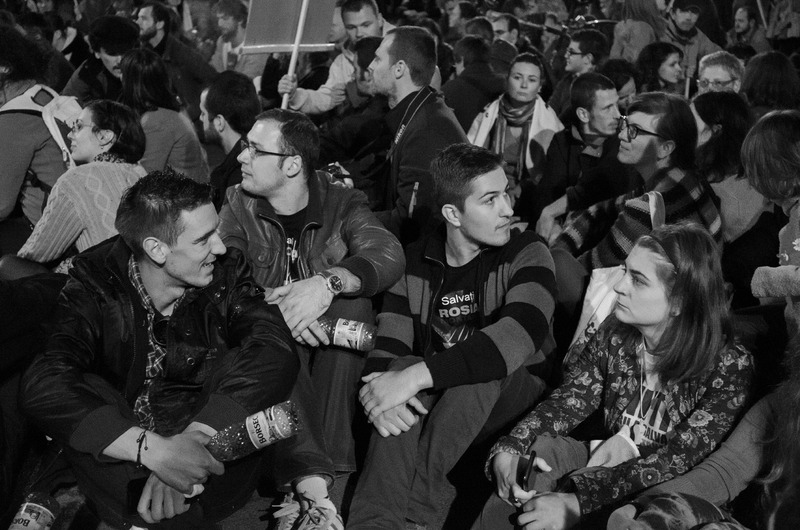 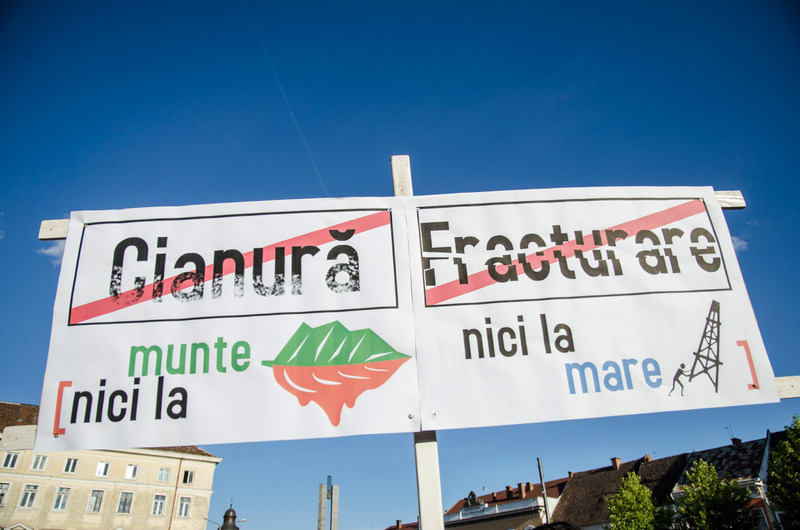 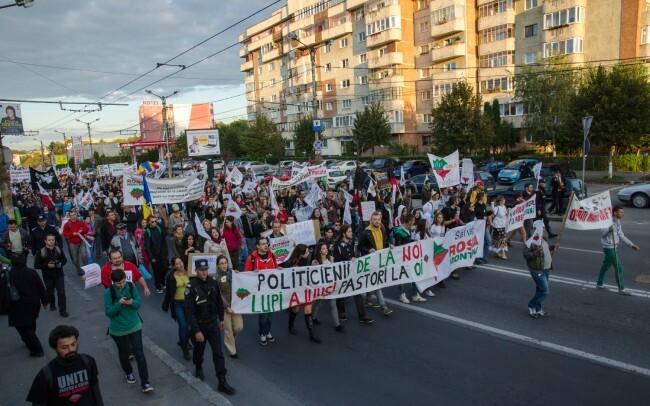 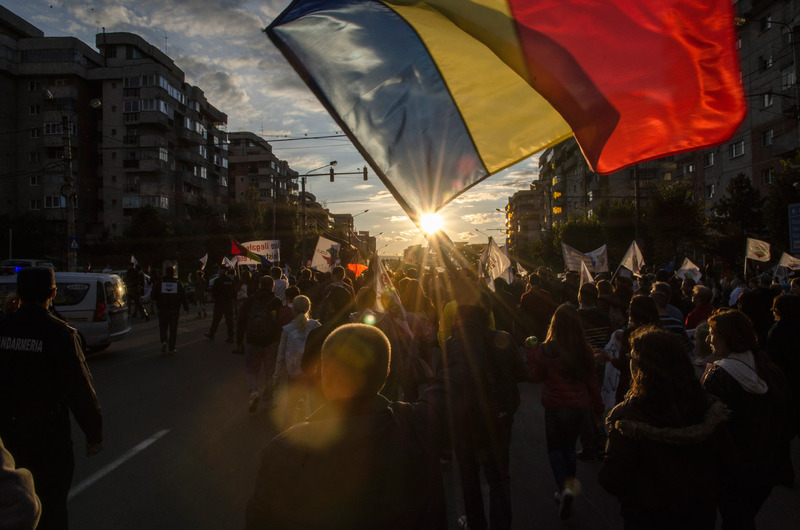 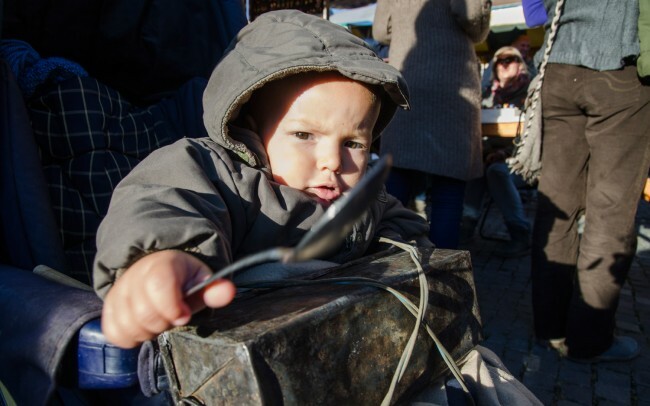 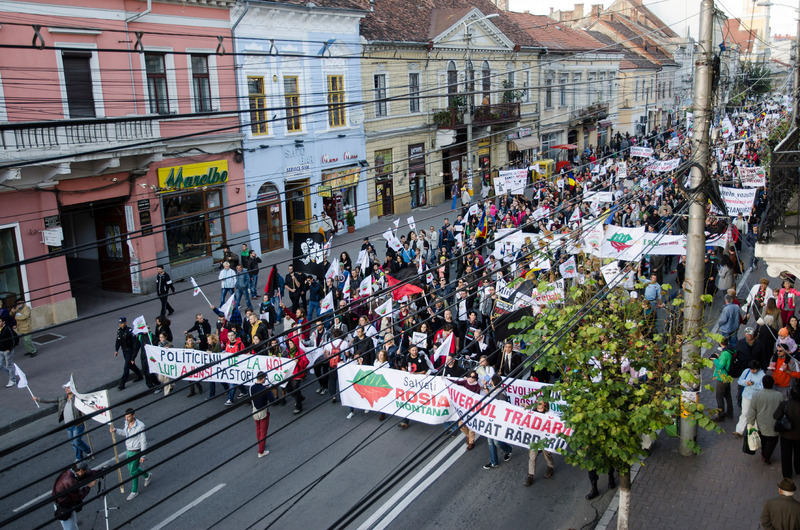 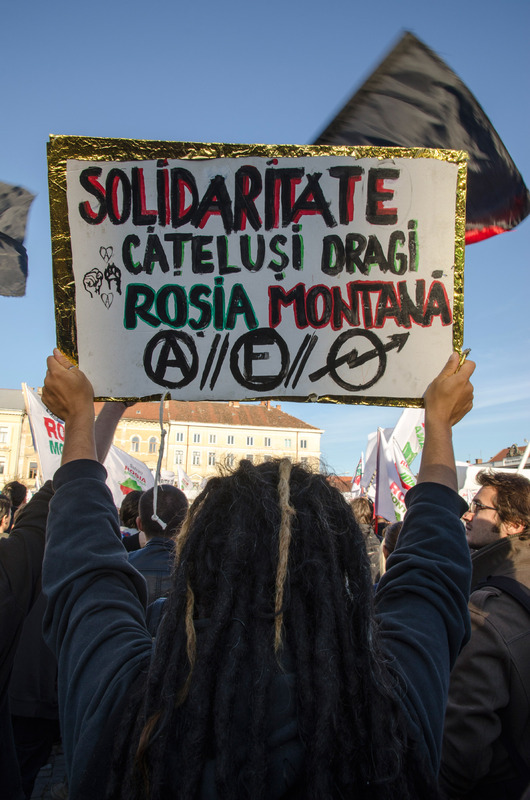 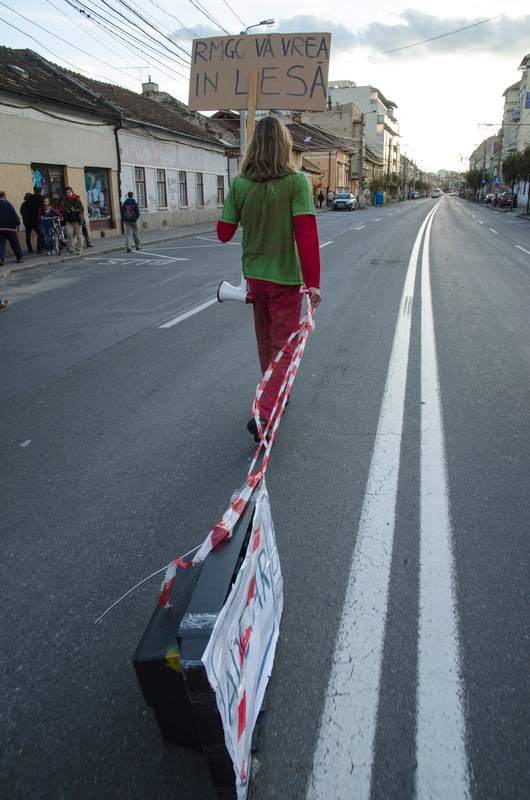 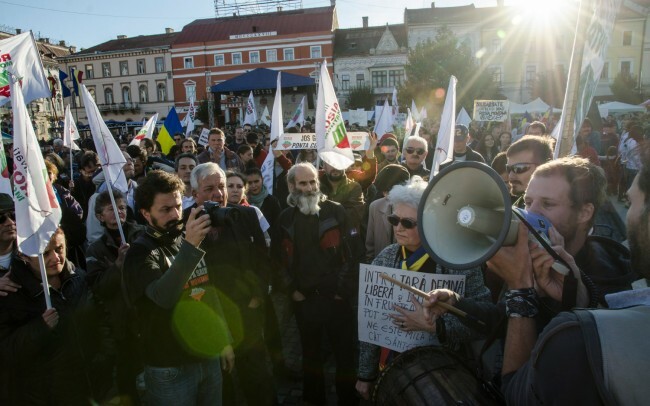 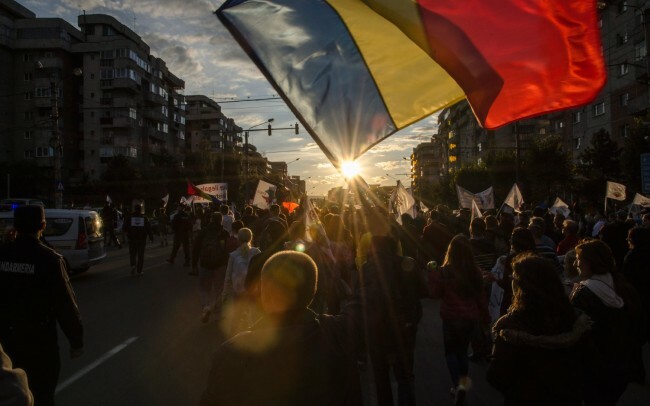 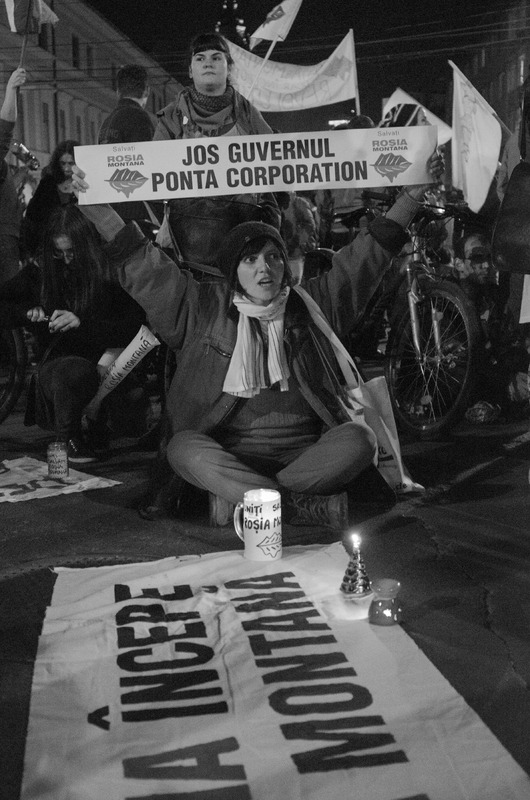 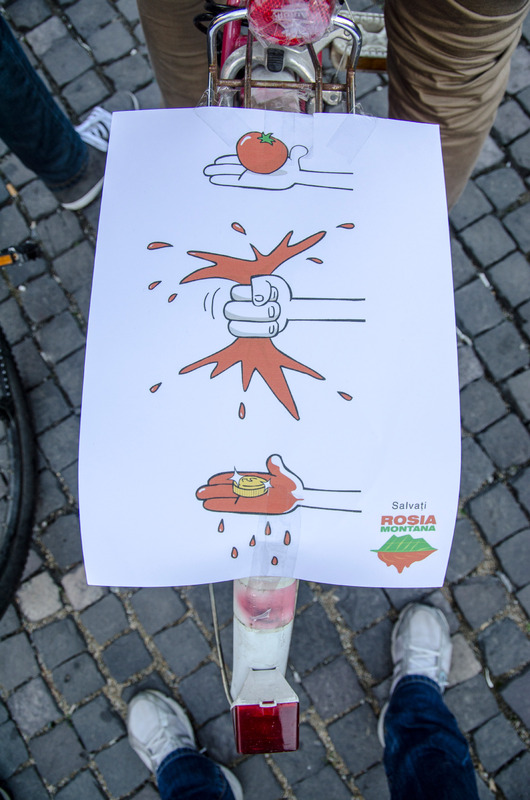 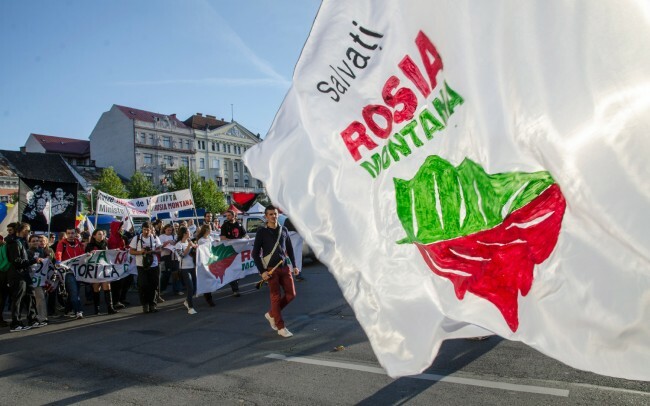 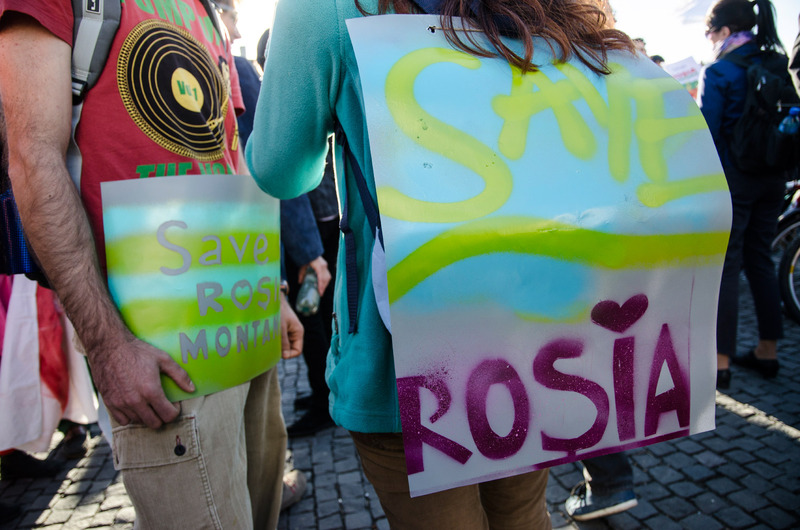 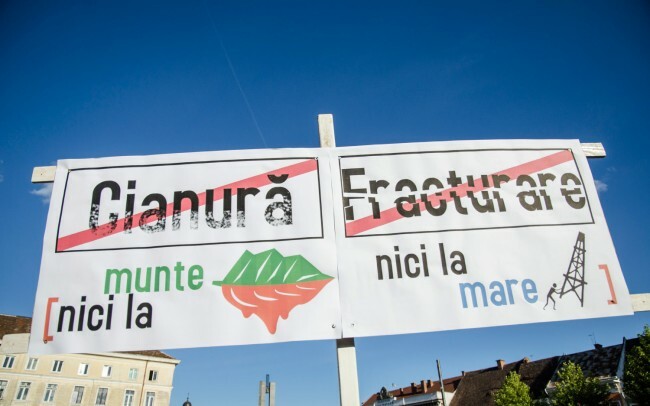 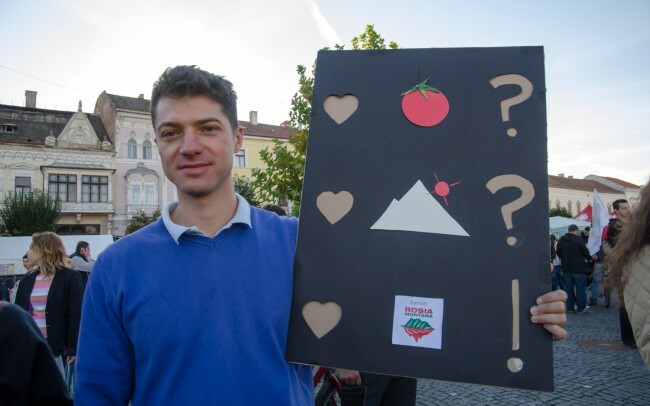 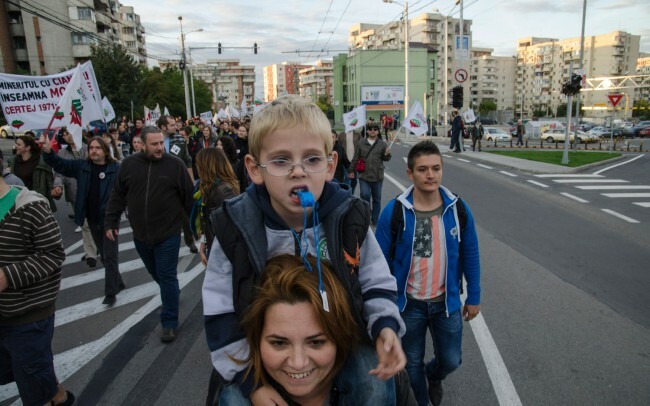 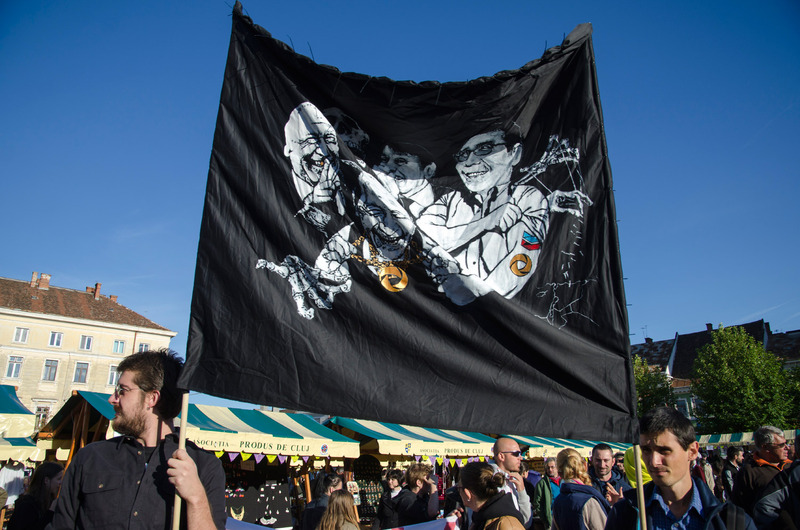 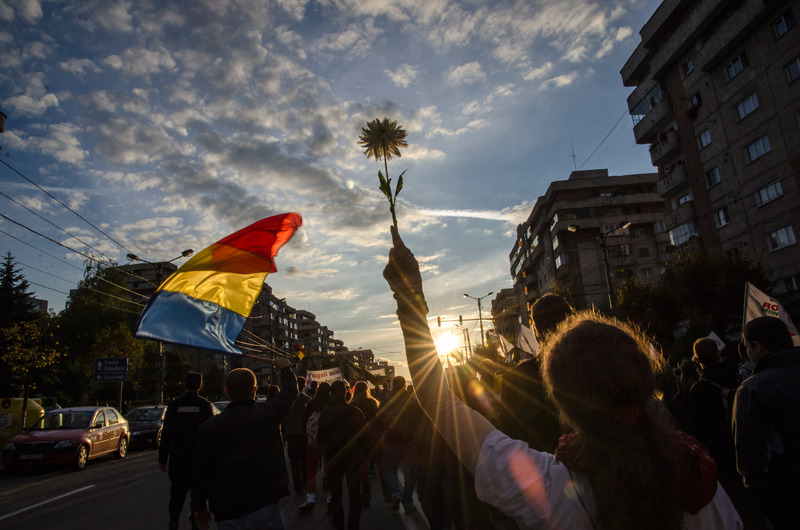 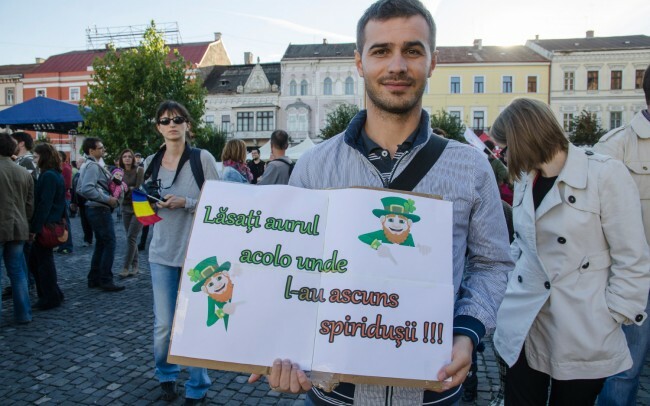 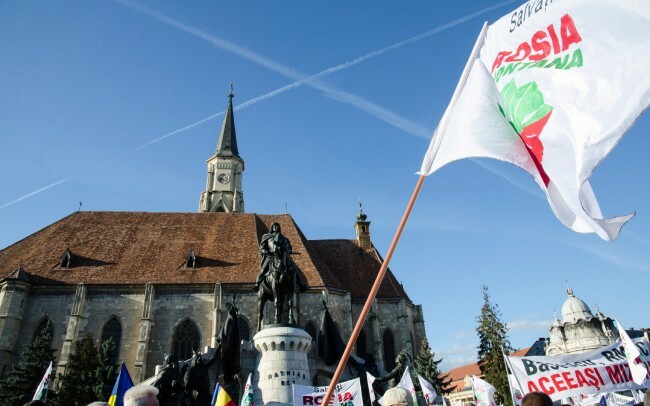 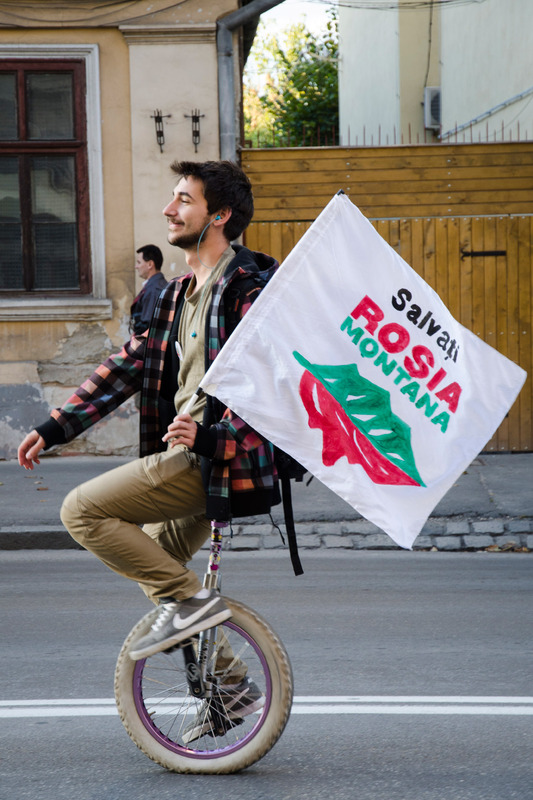 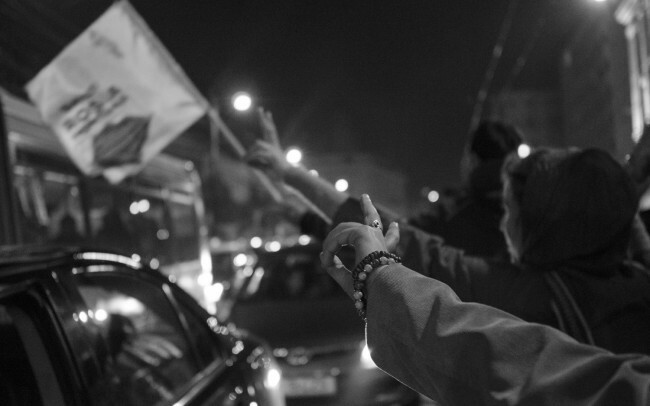 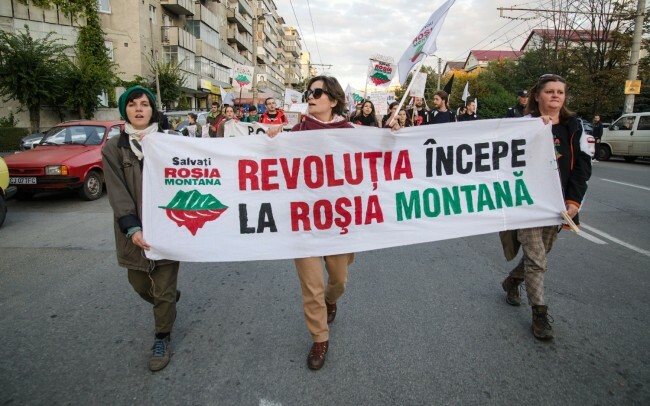 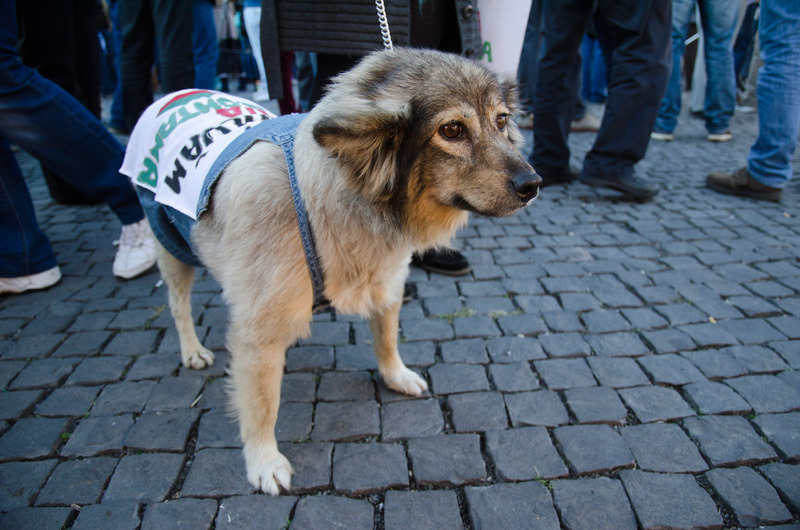 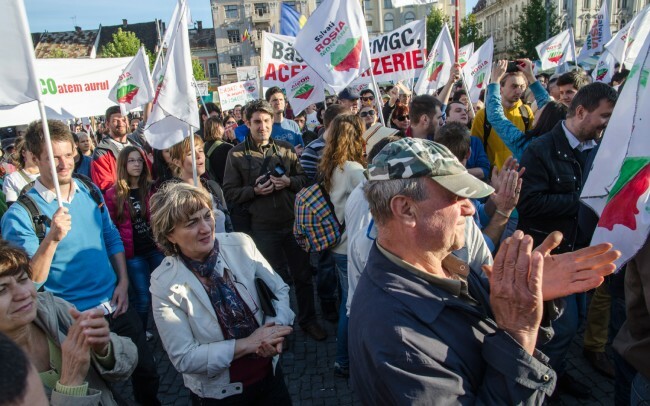 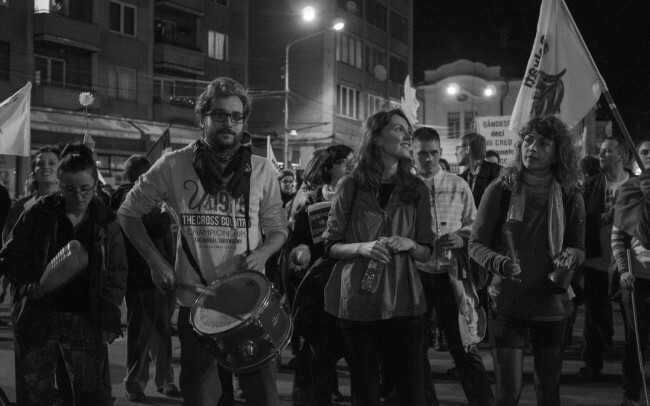 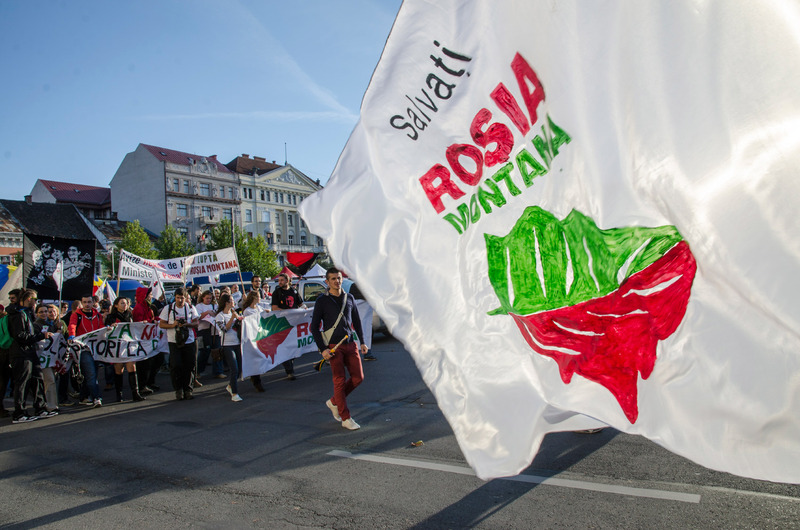 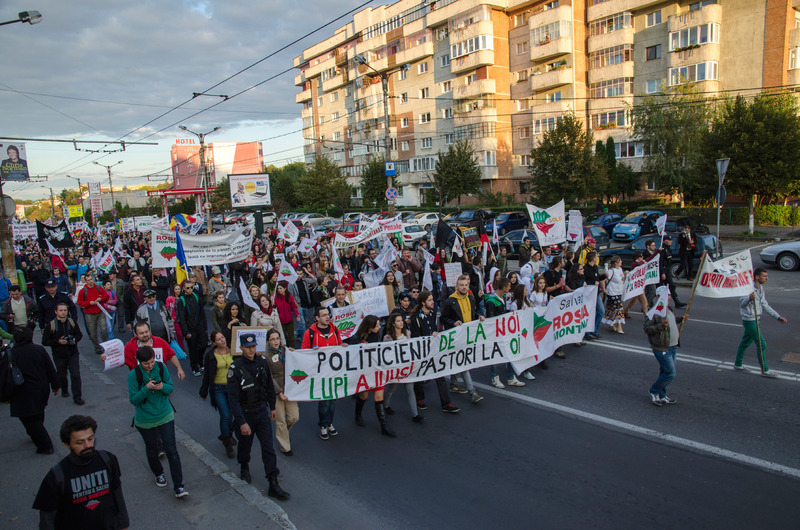 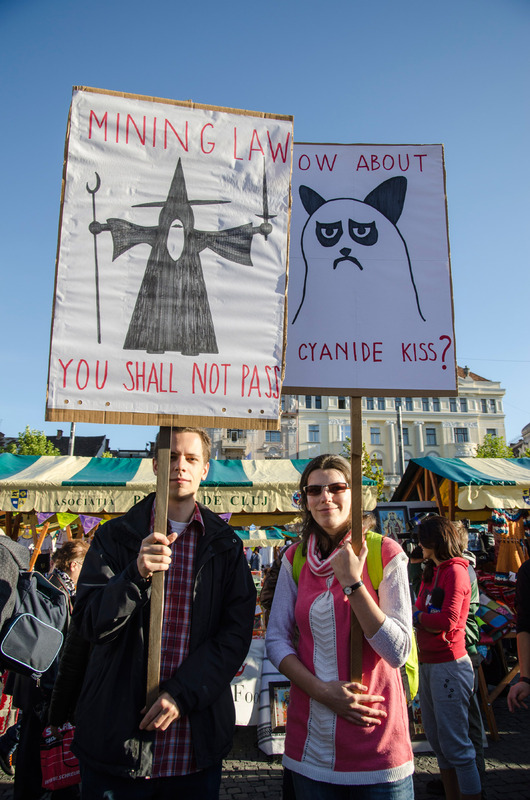 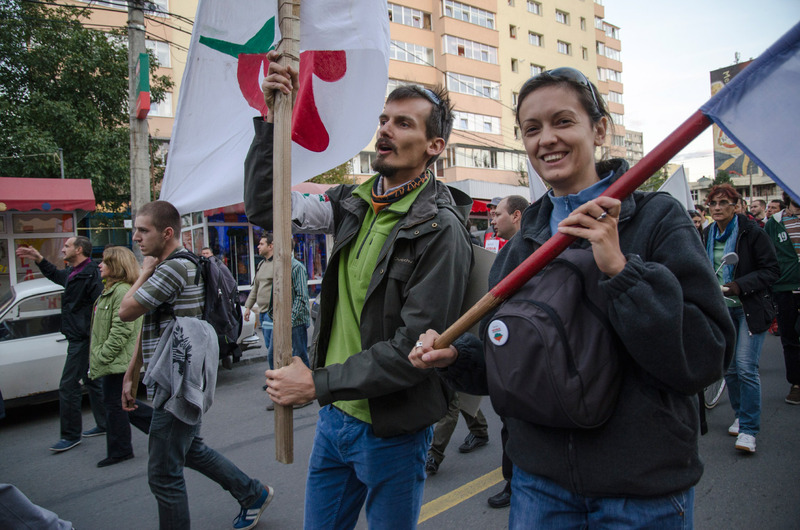 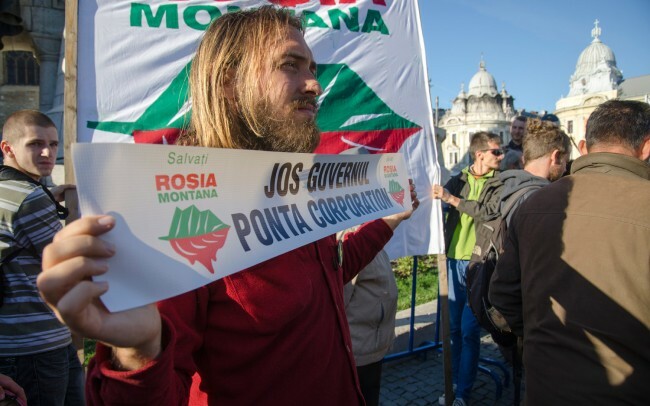 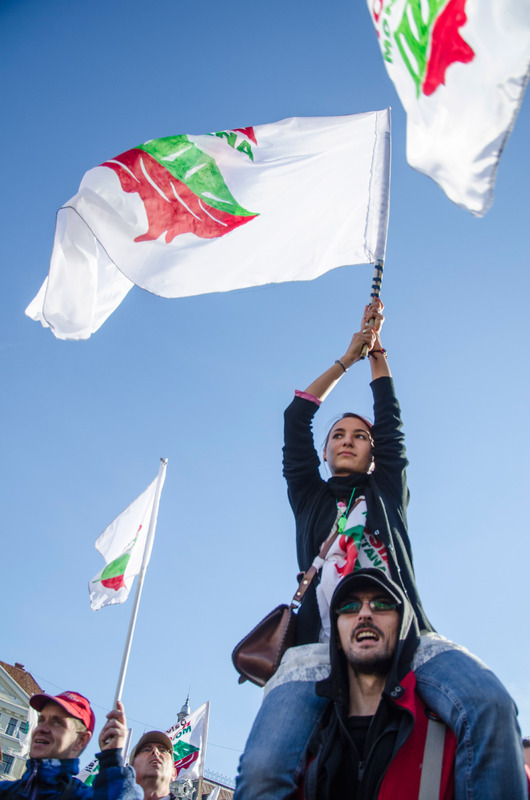 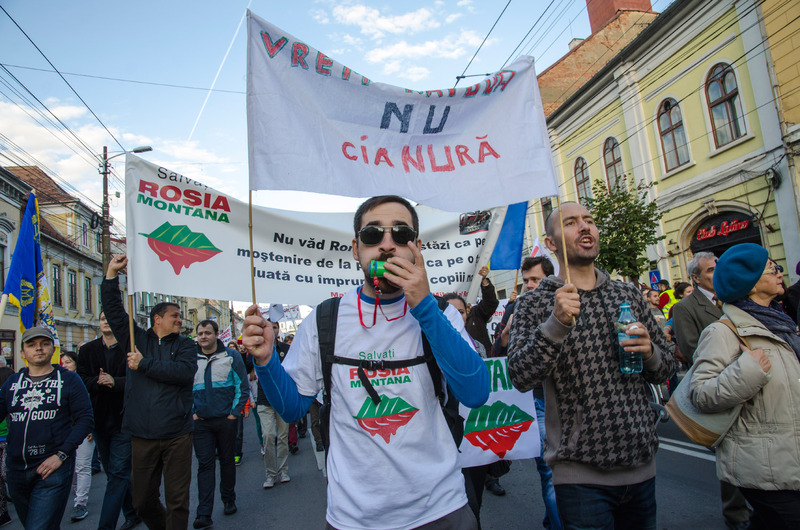 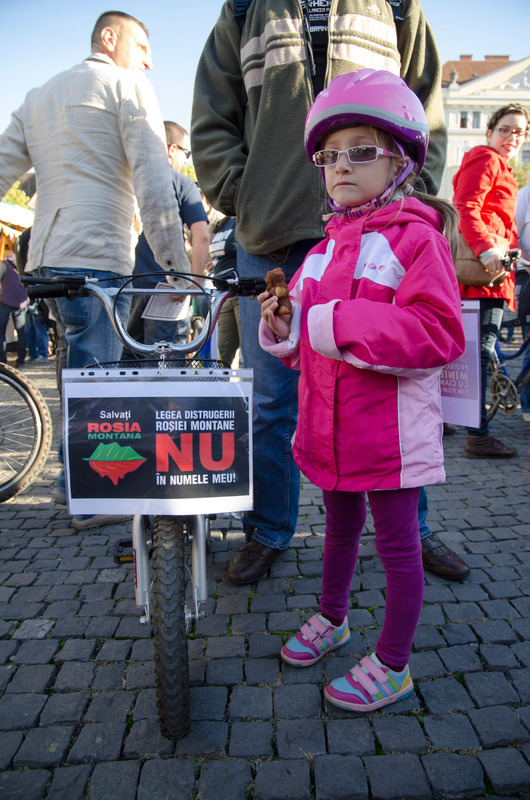 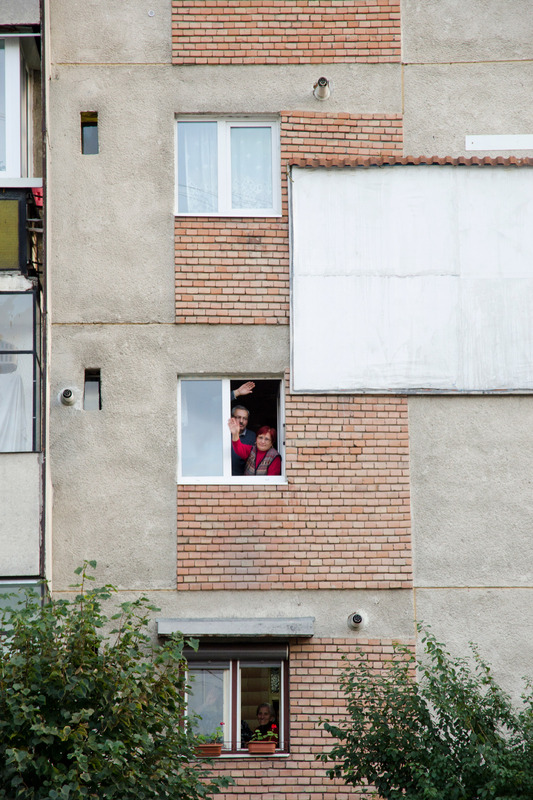 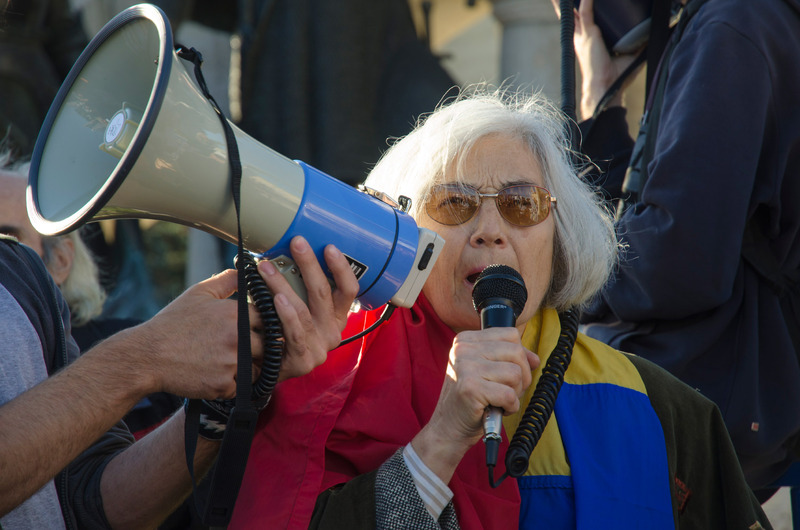 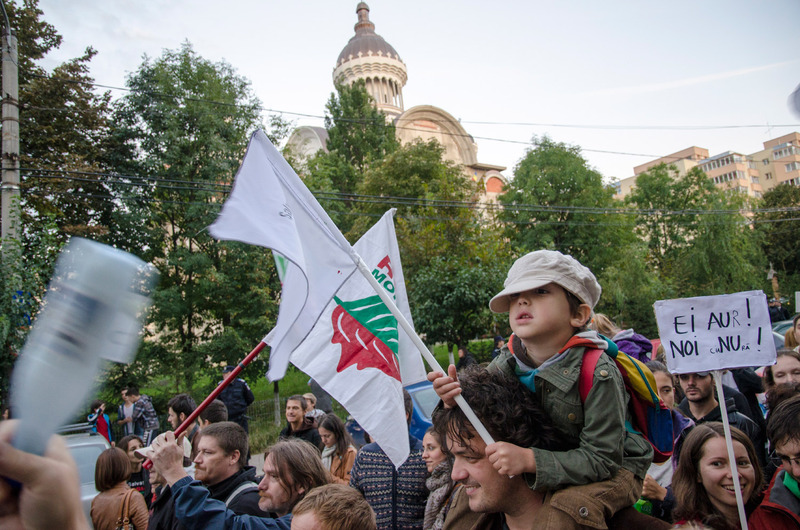 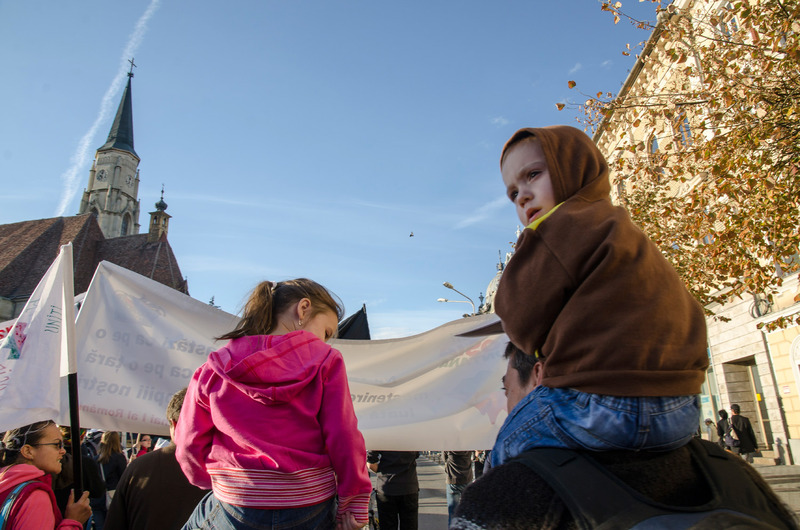 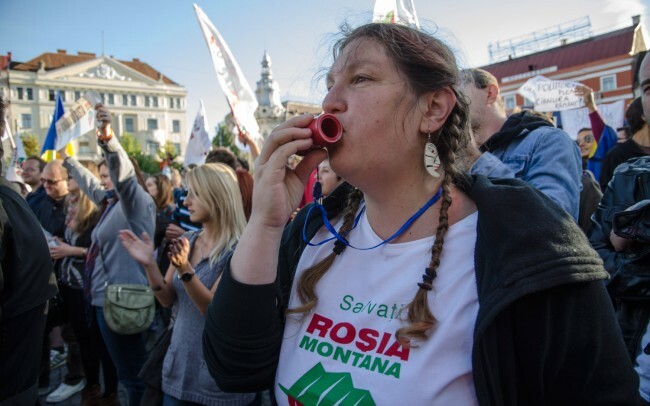 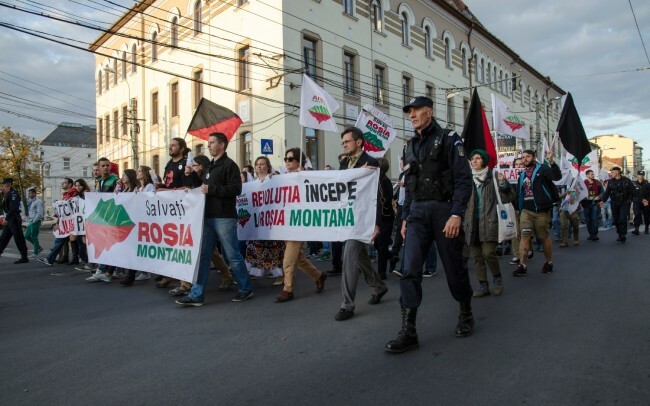 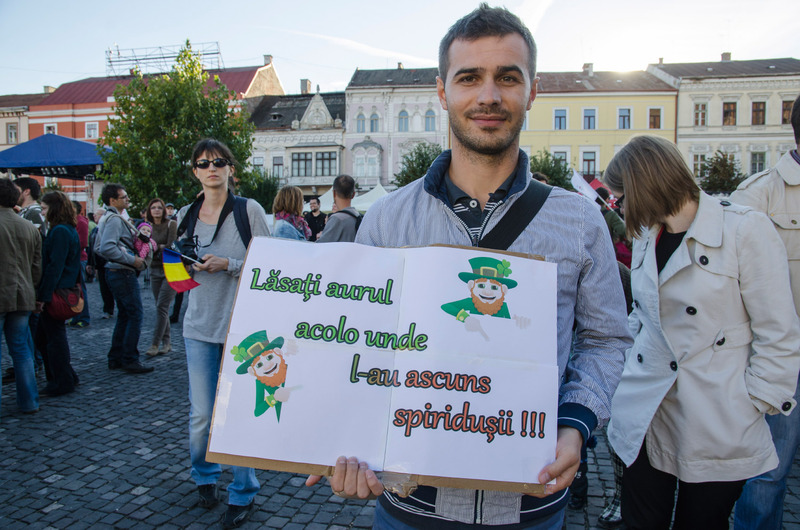 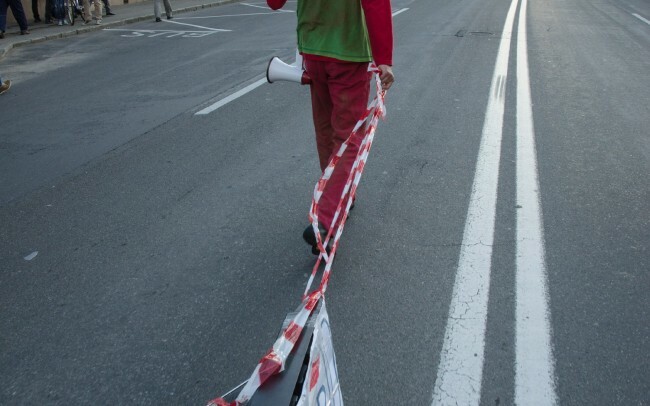 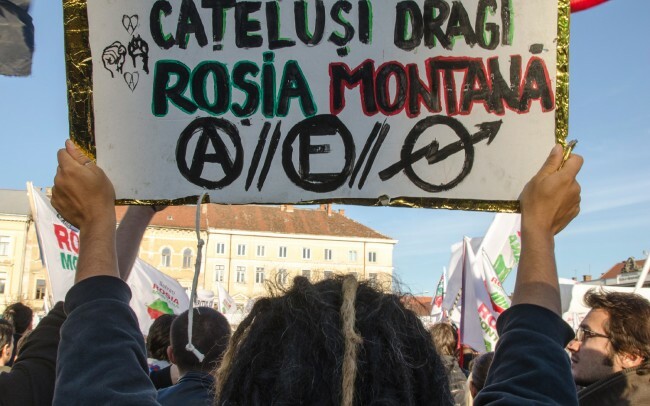 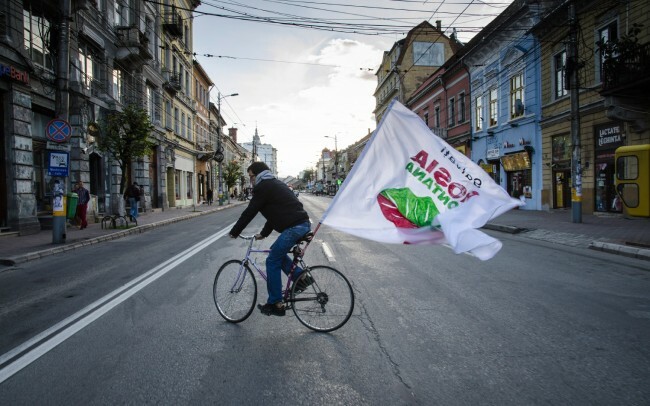 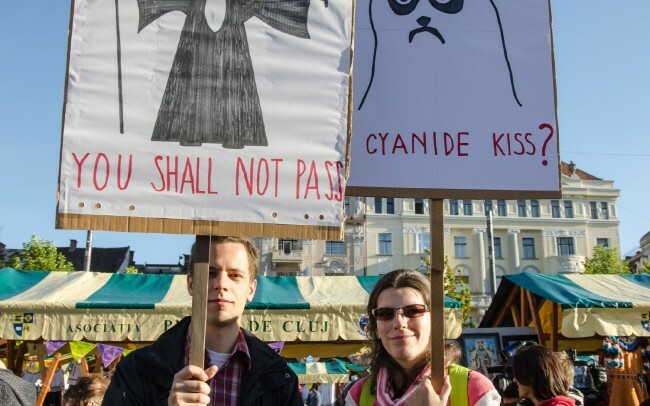 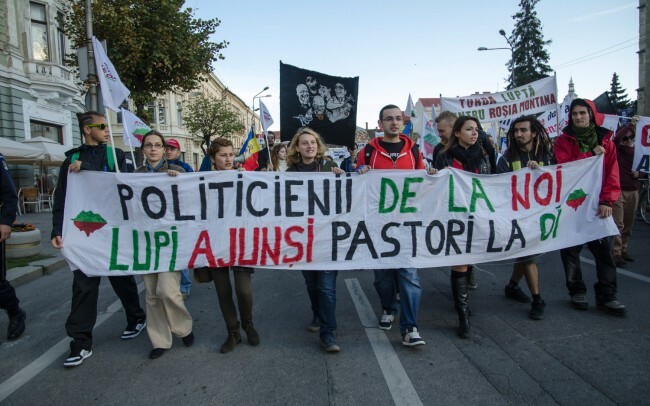 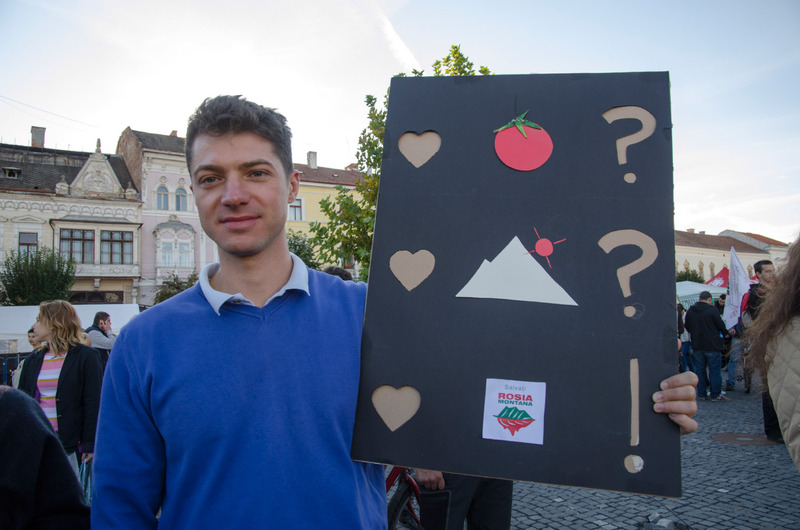 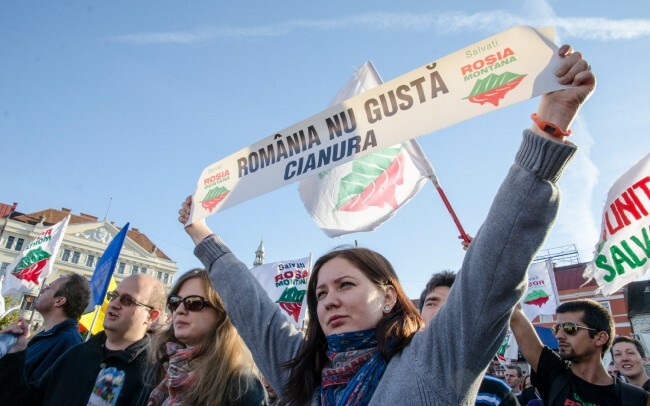 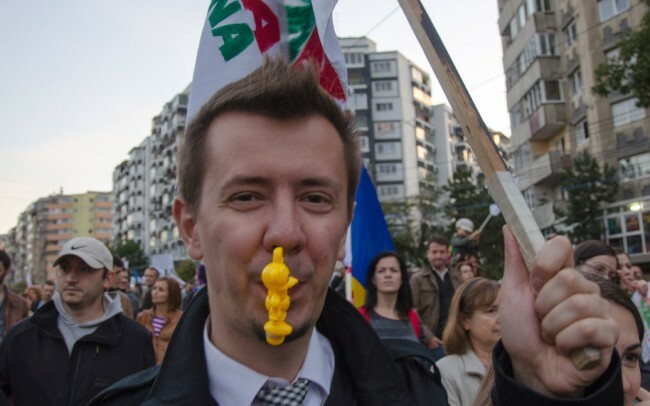 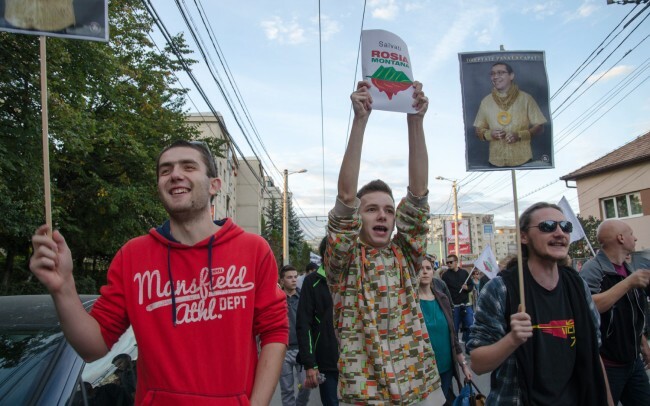 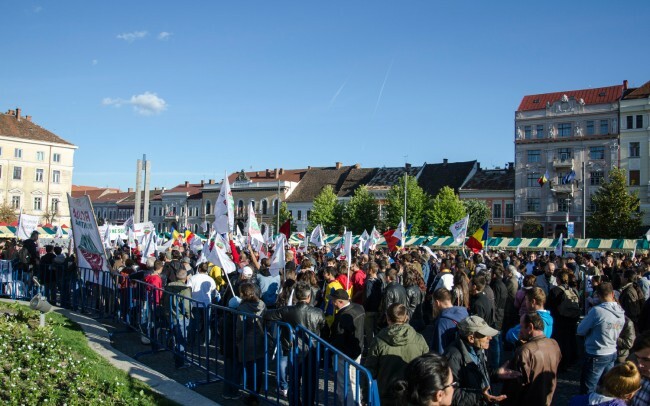 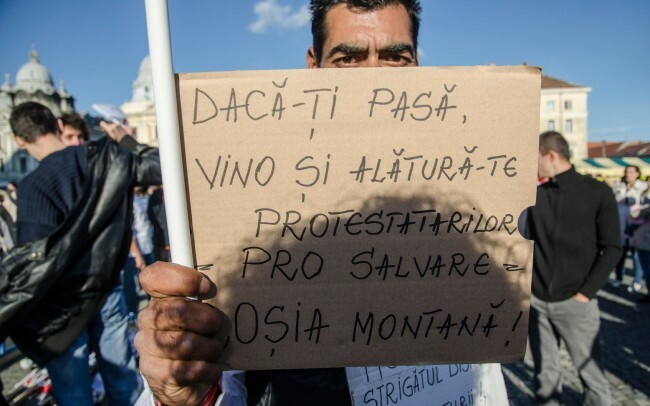 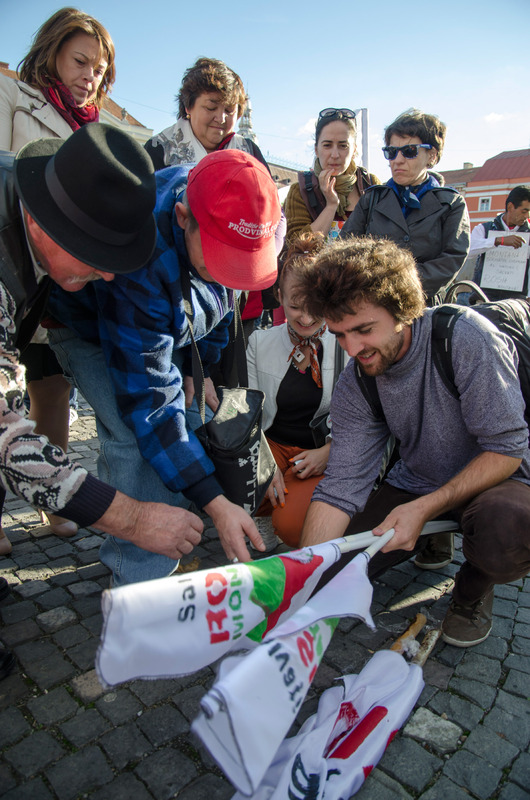 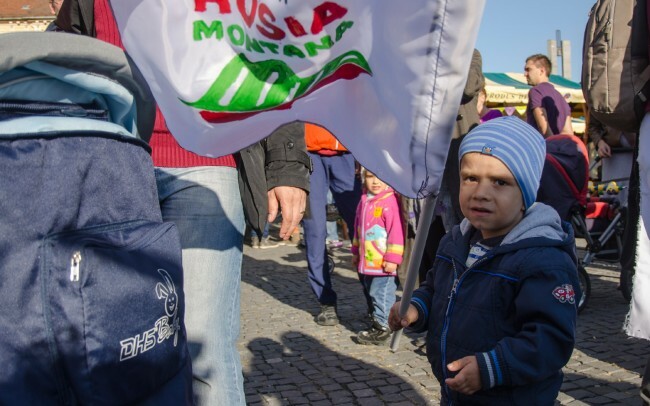 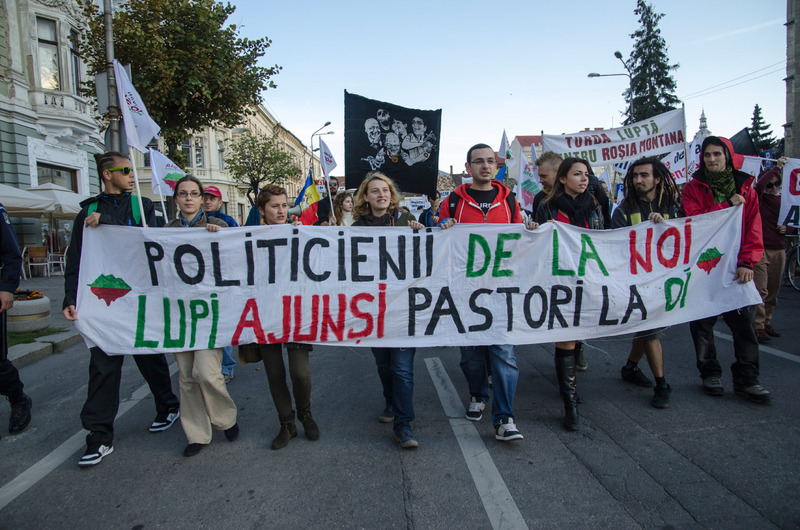 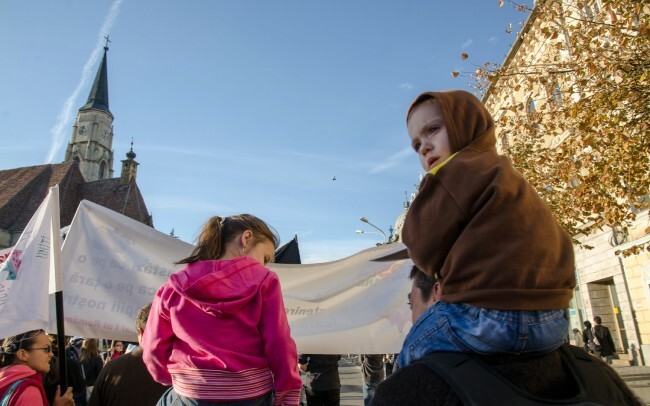 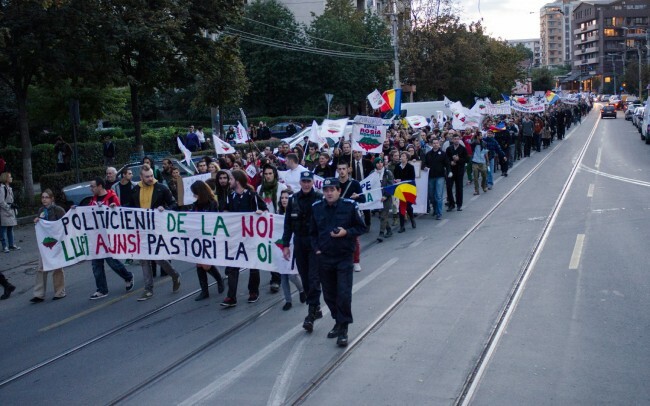 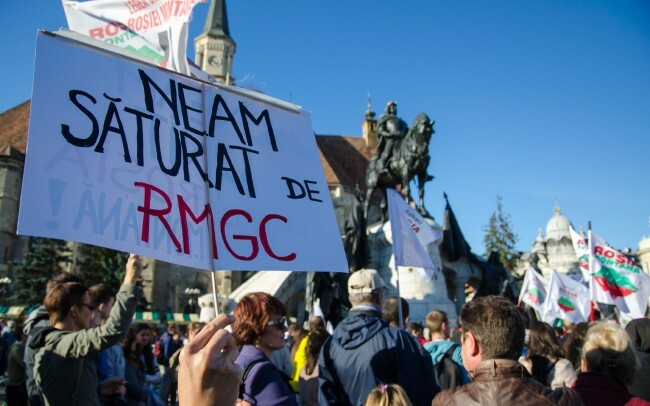 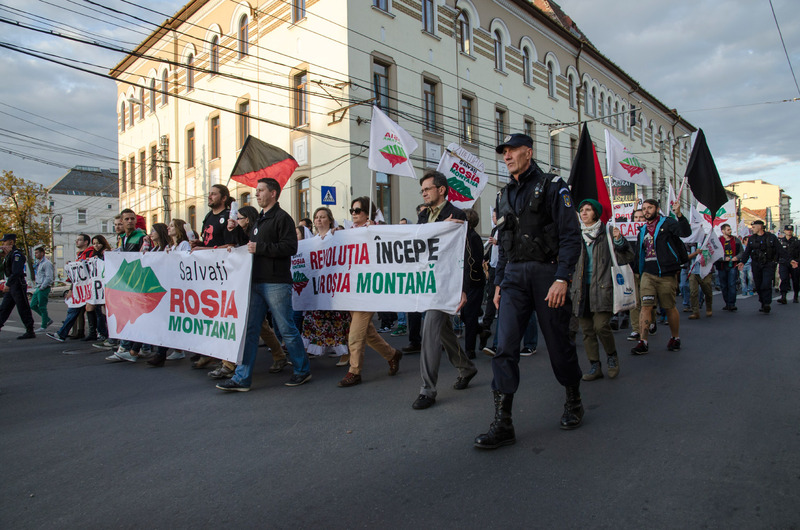 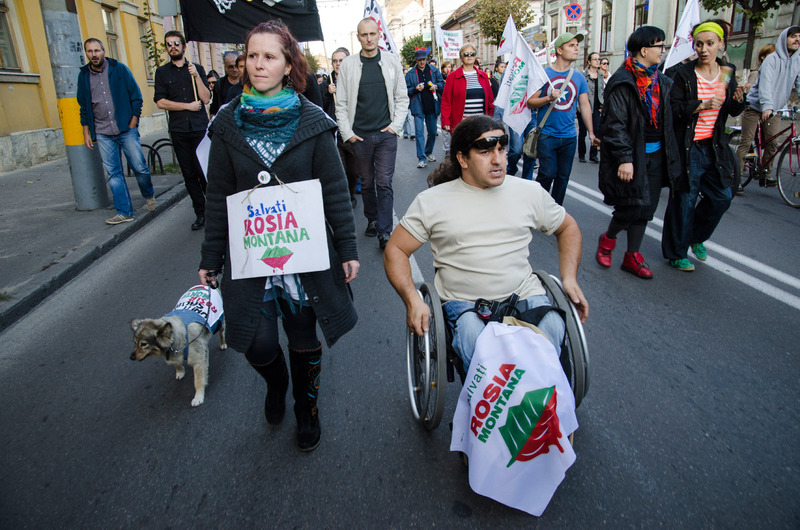 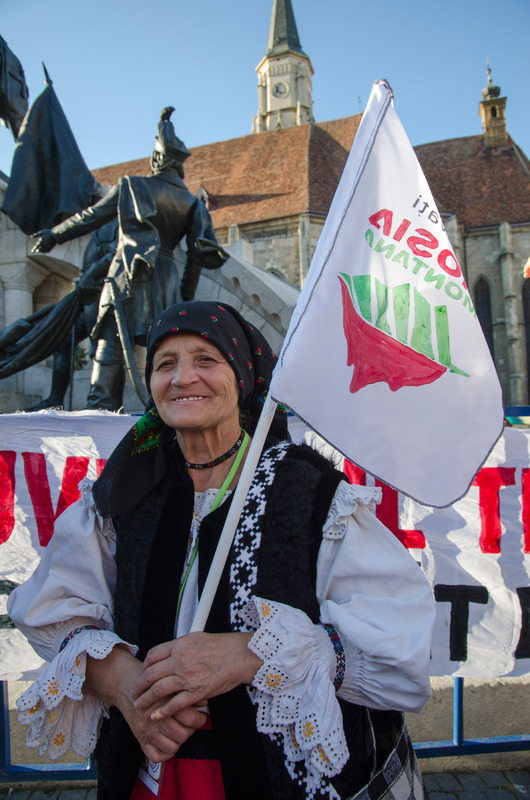 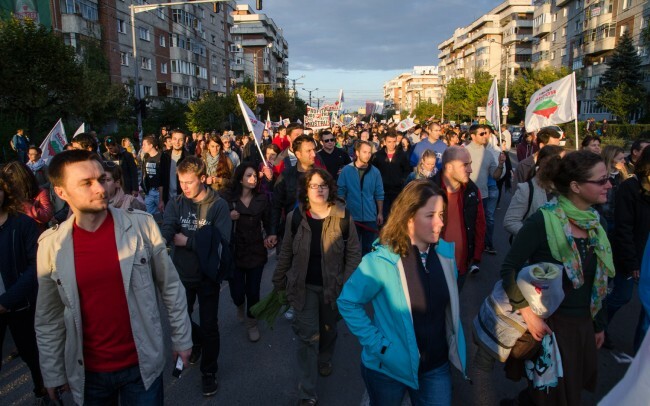 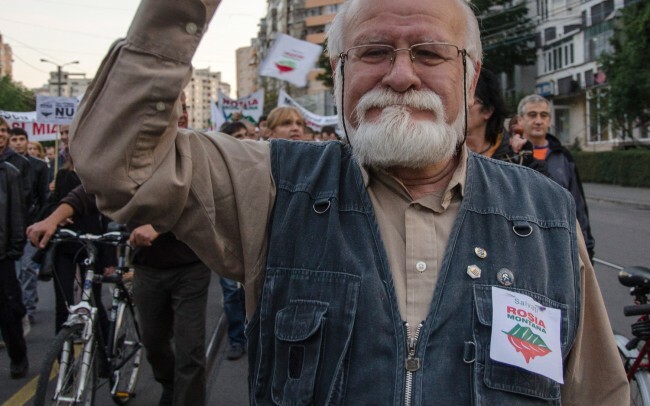 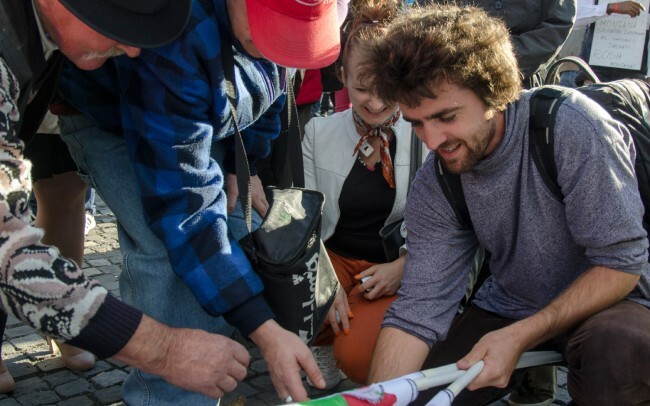 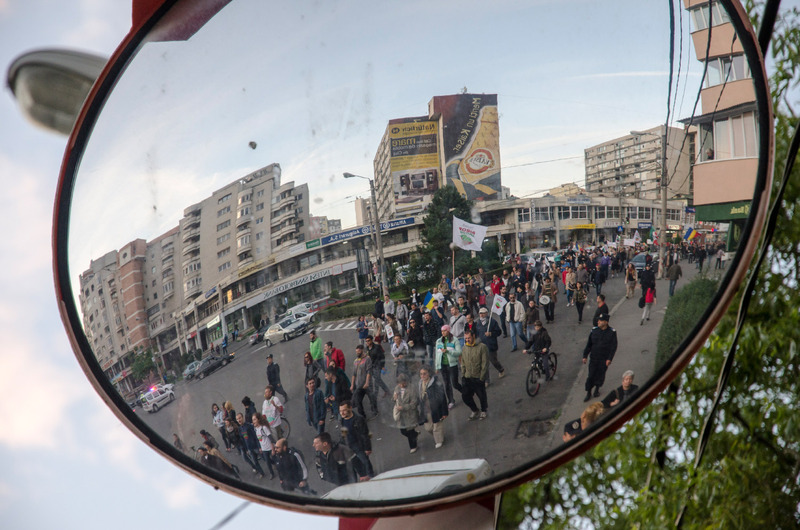 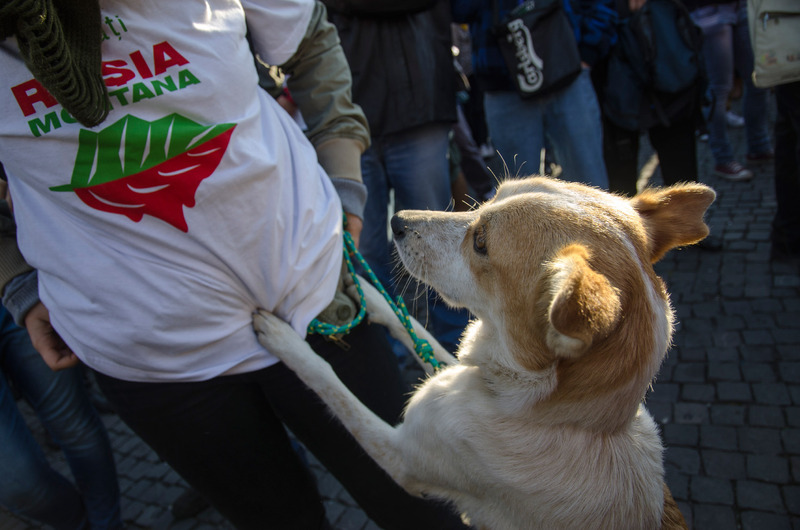 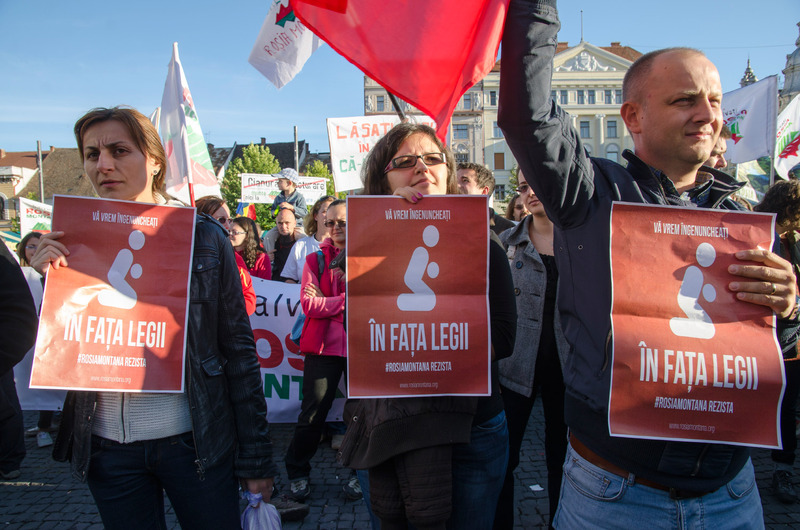 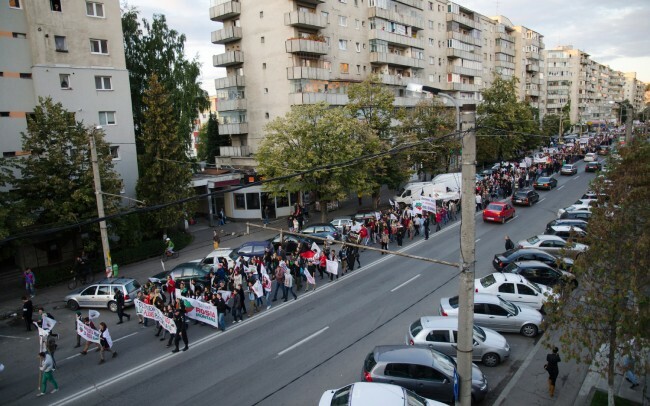 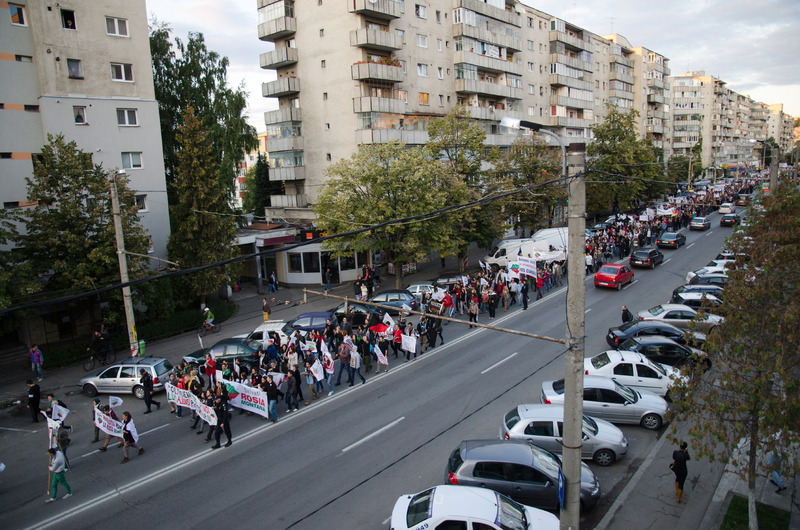 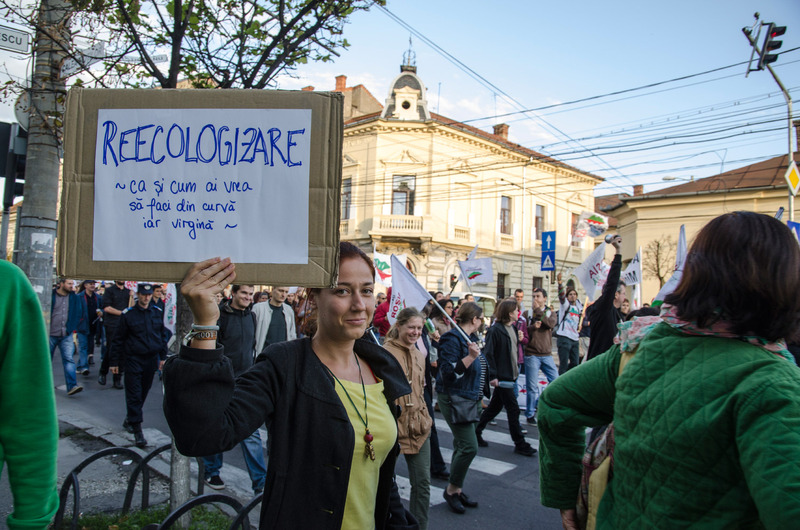 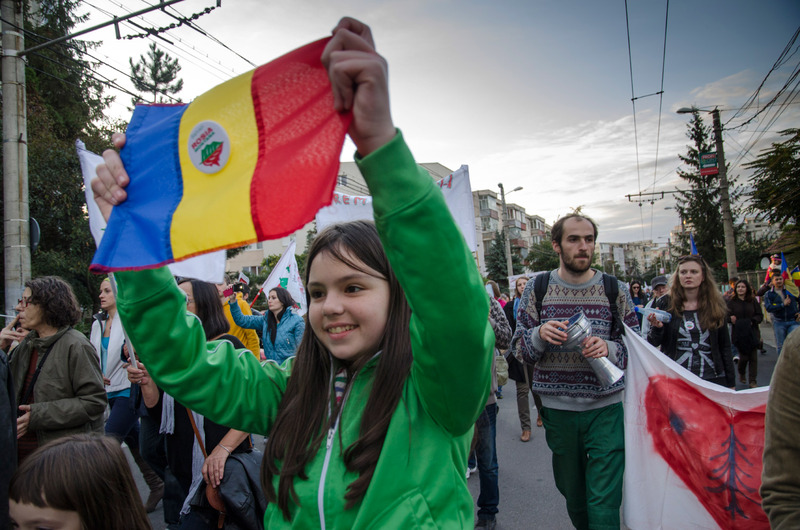 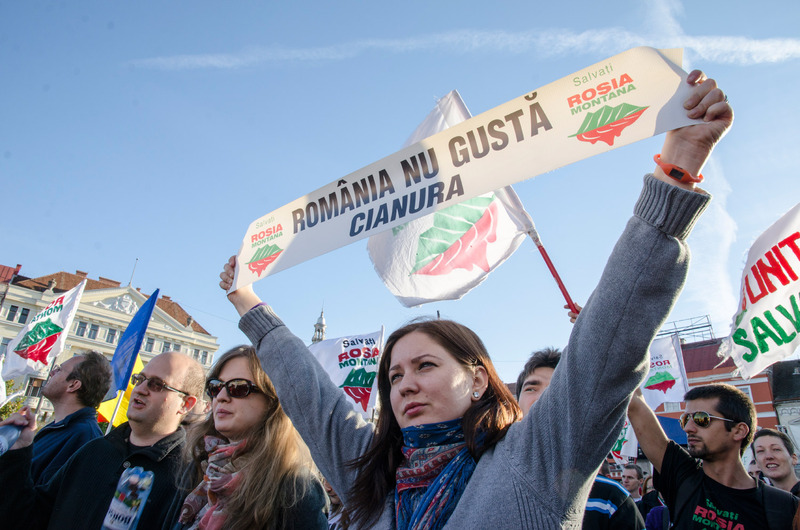 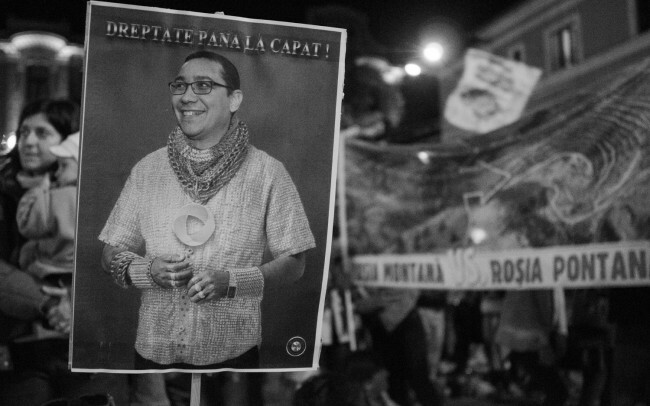 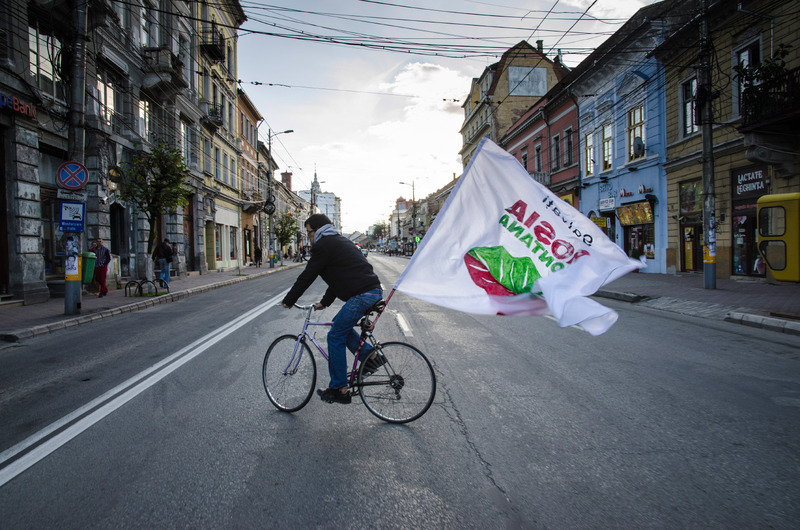 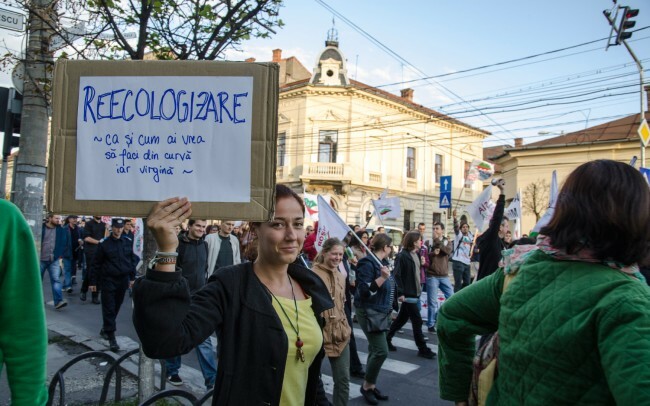 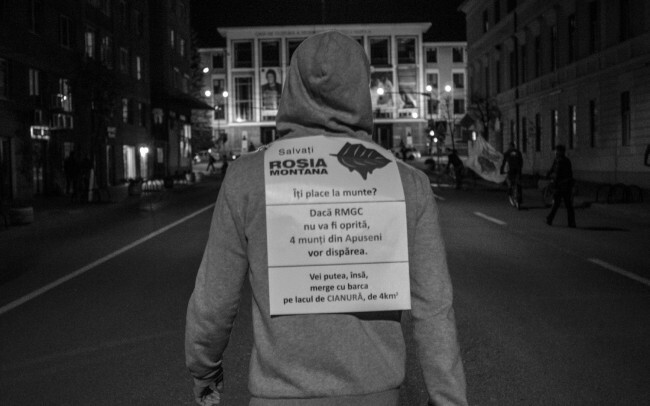 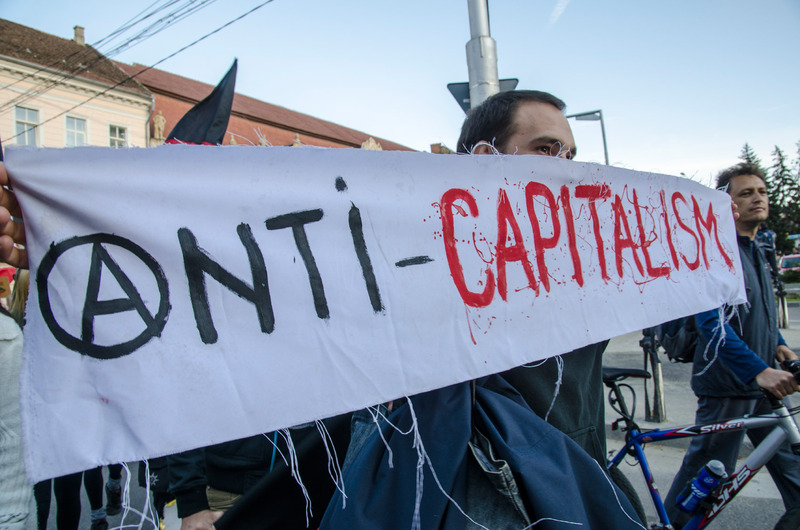 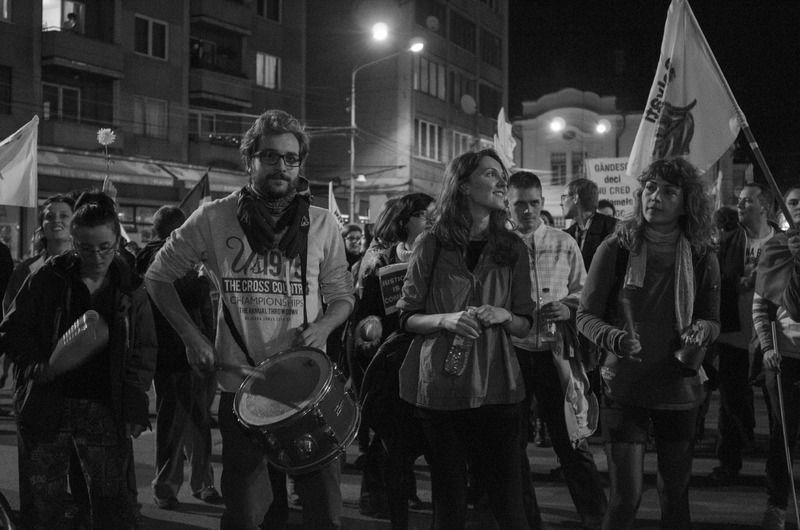 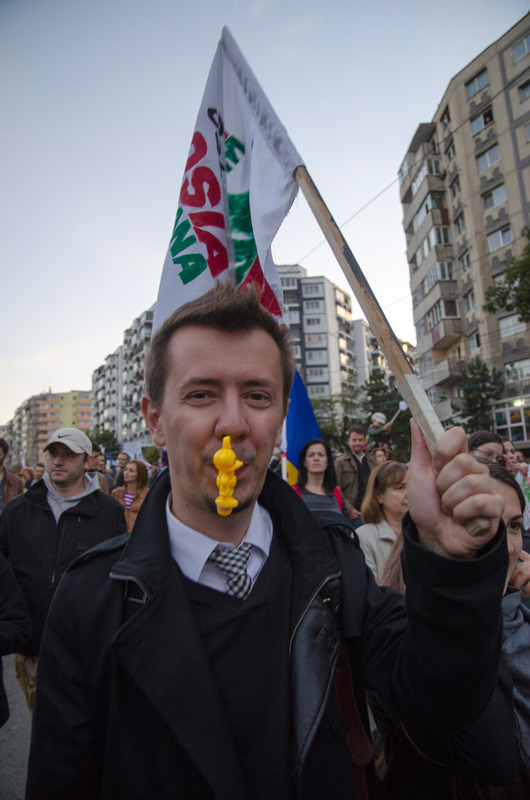 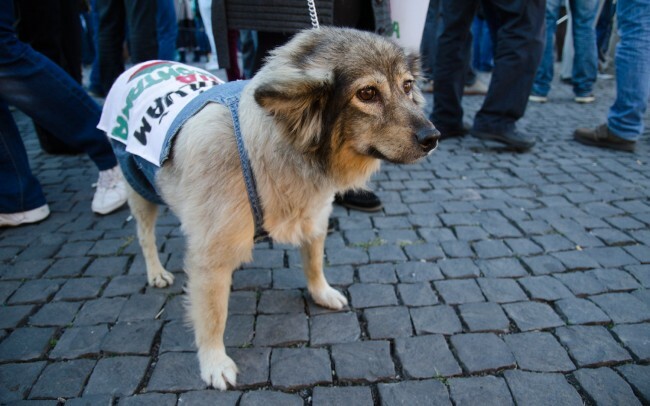 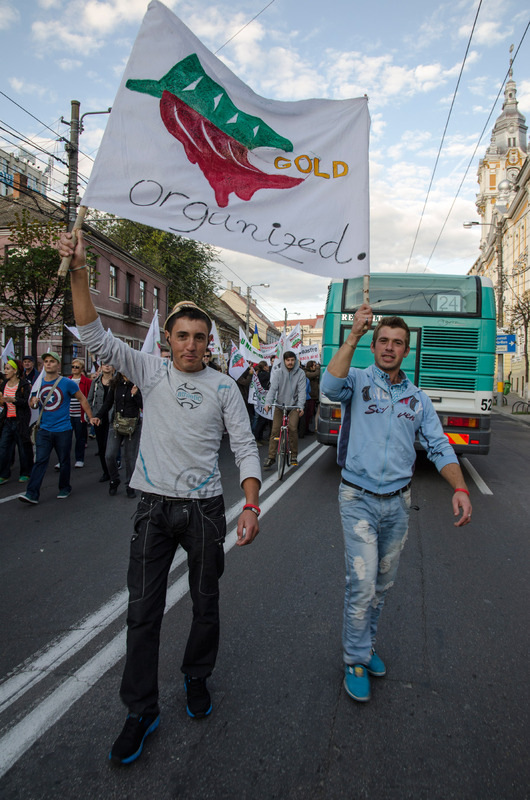 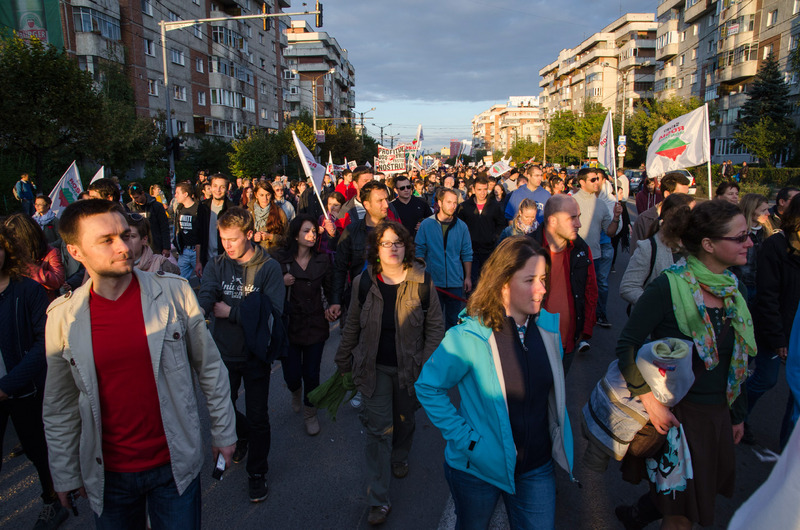 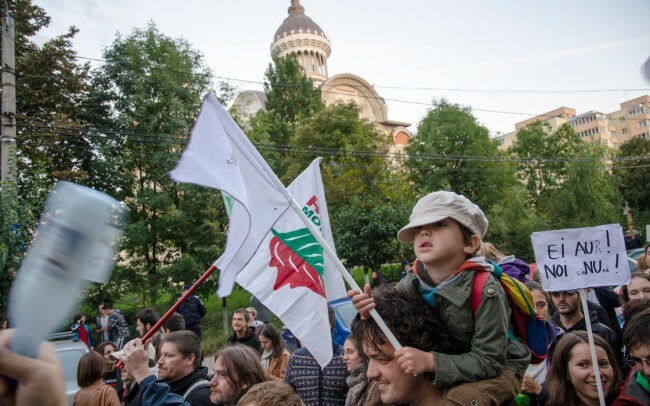 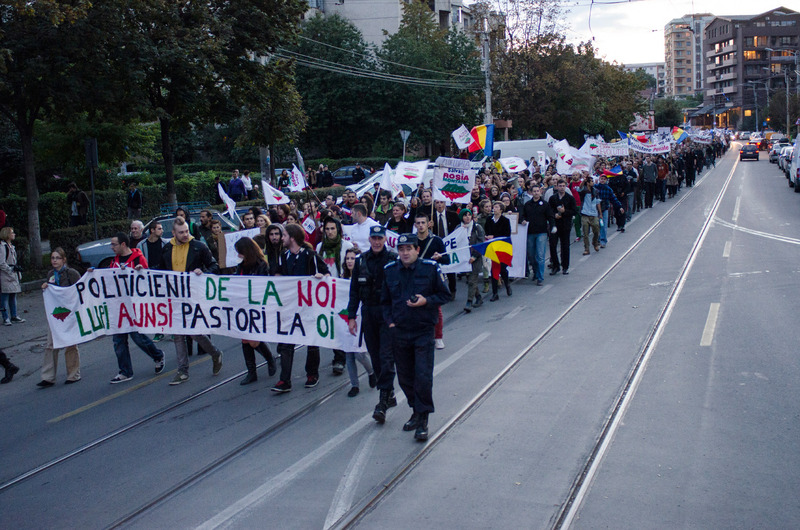 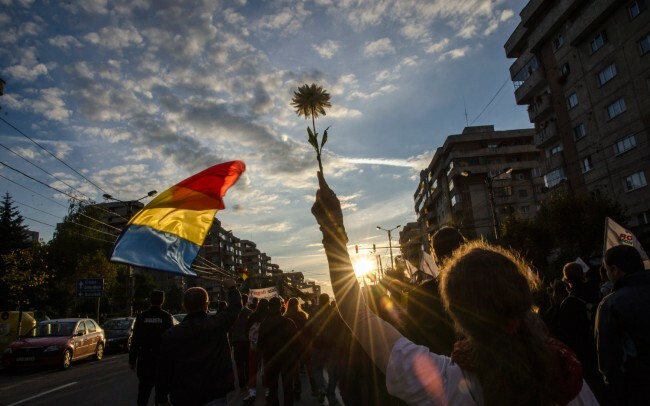 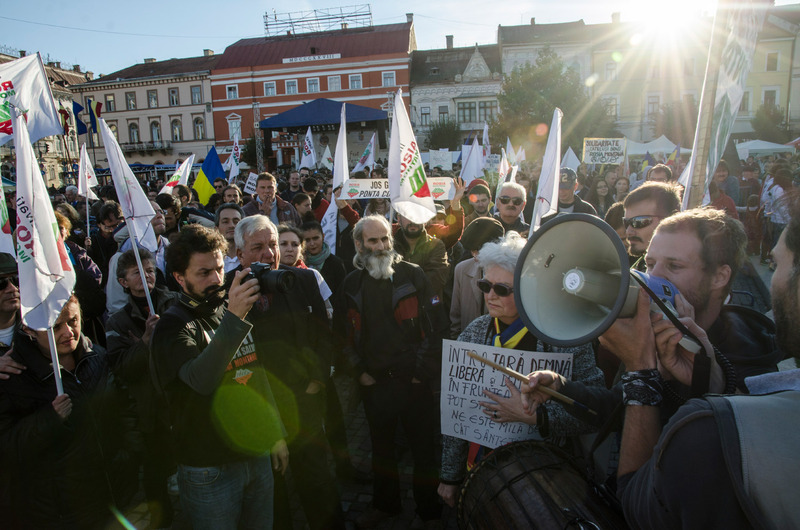 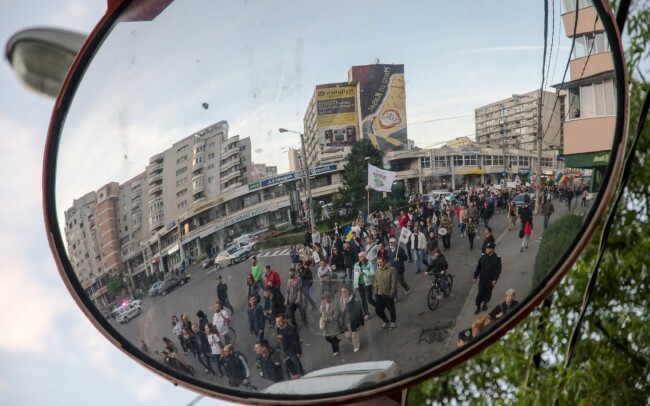 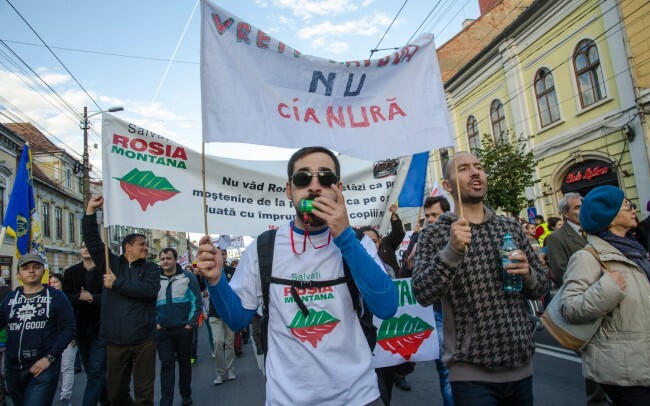 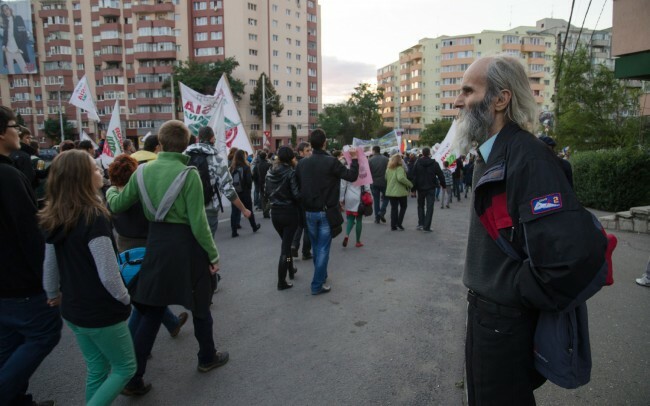 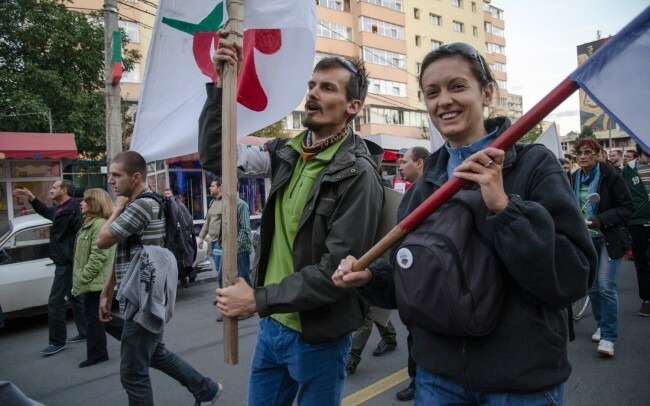 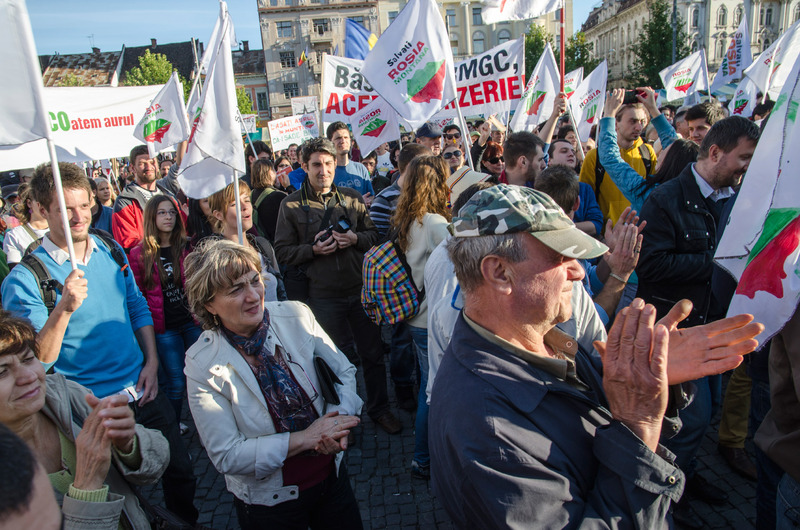 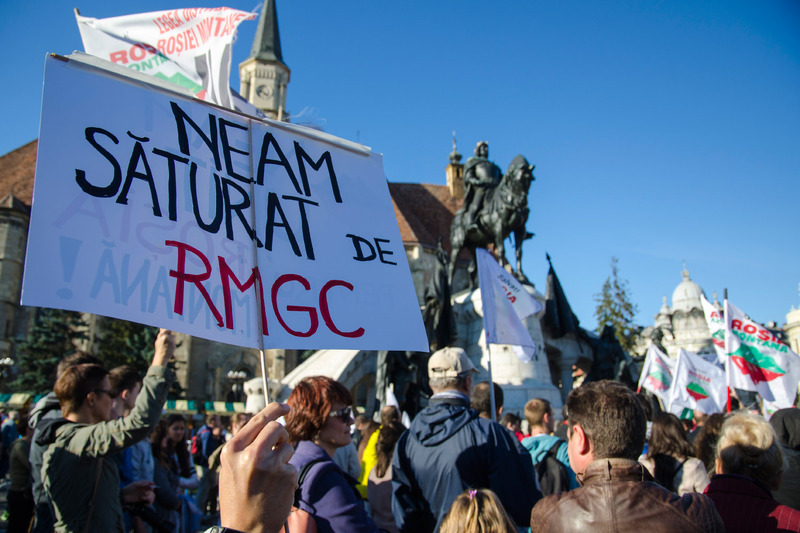 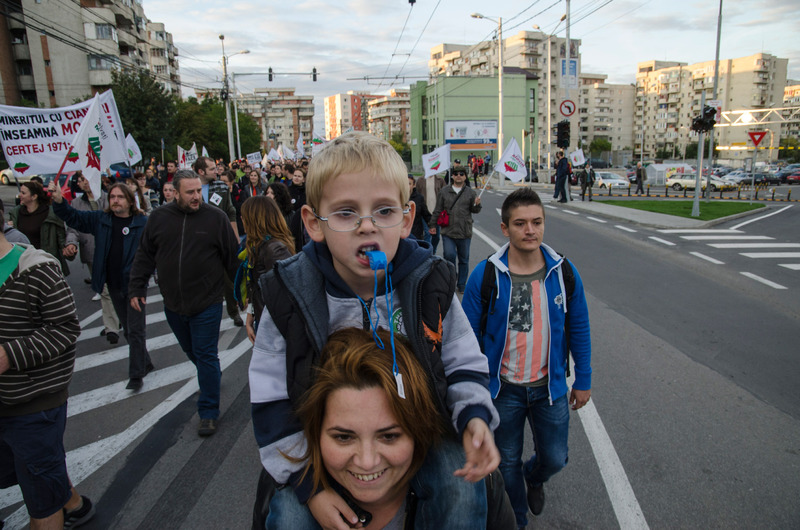 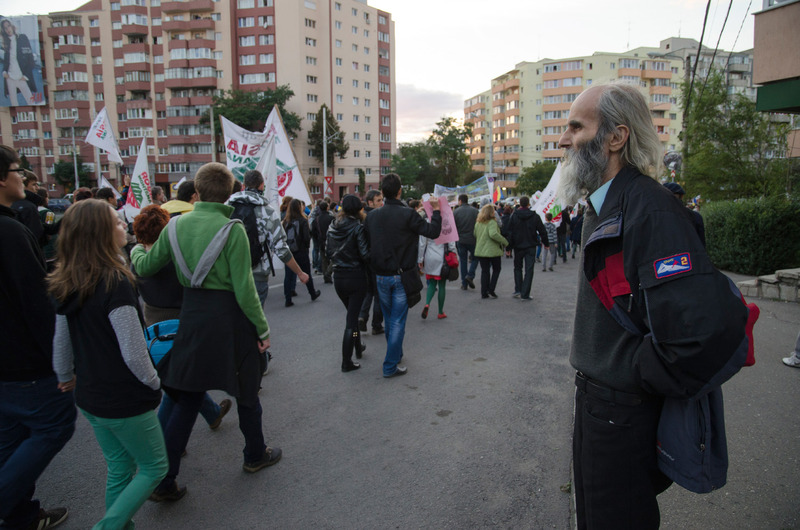 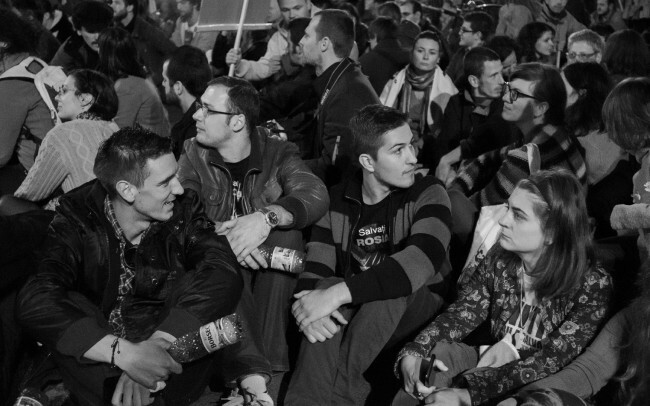 Over 10.000 people marched against the Rosia Montana project once again in Cluj-Napoca. 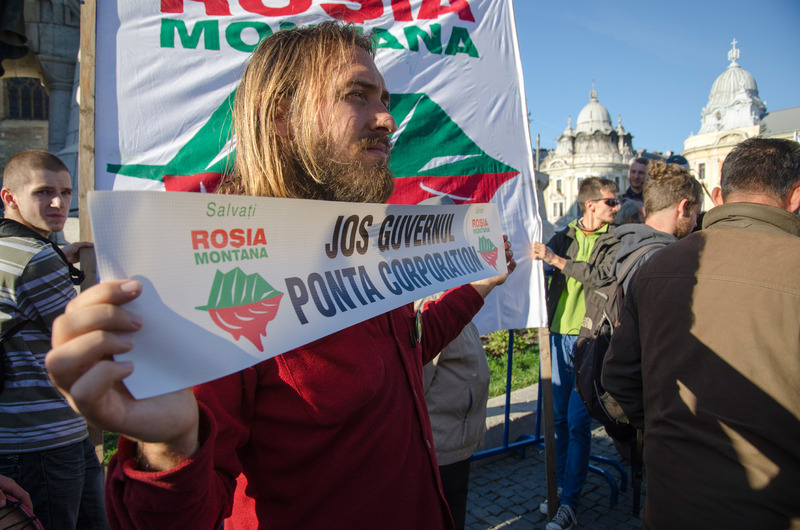 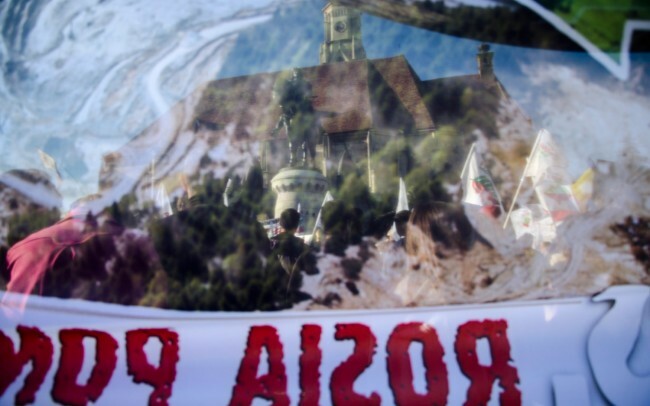 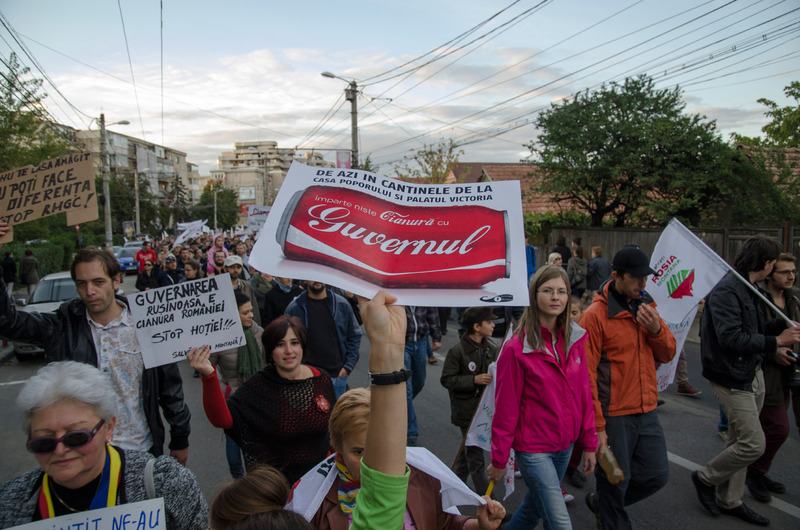 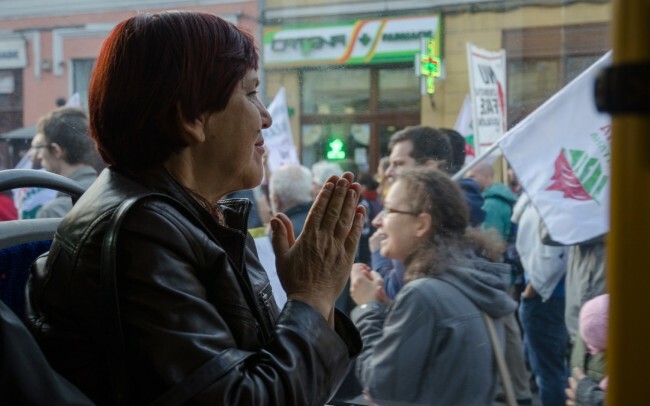 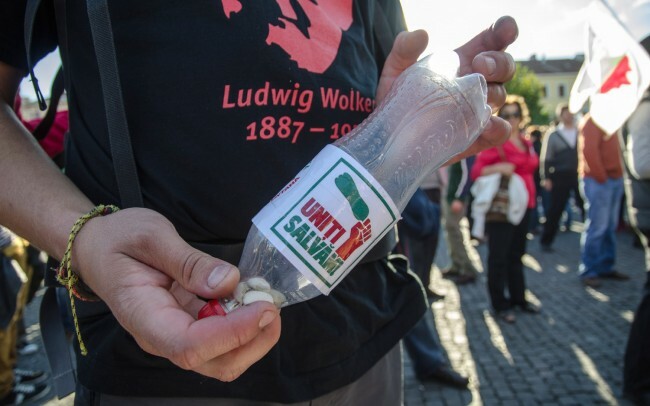 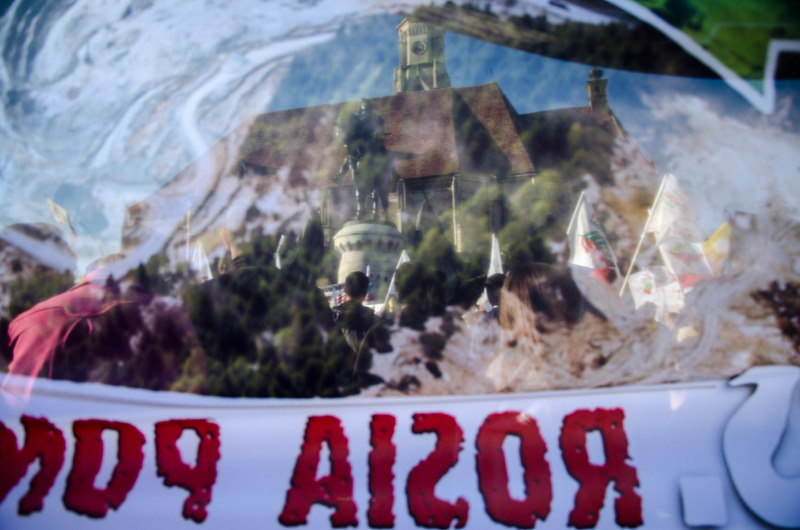 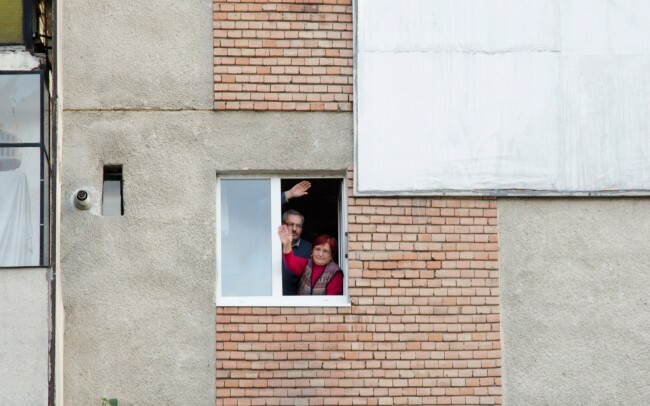 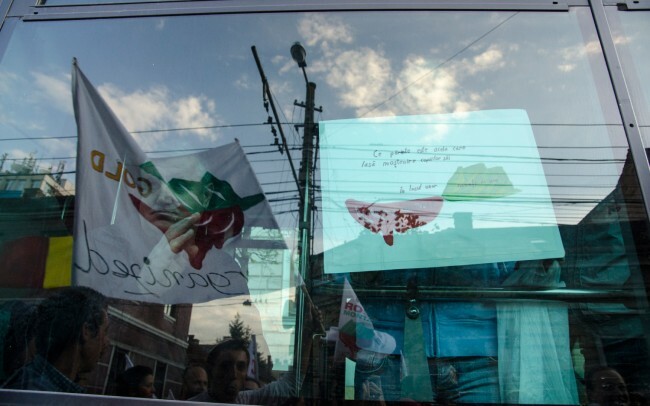 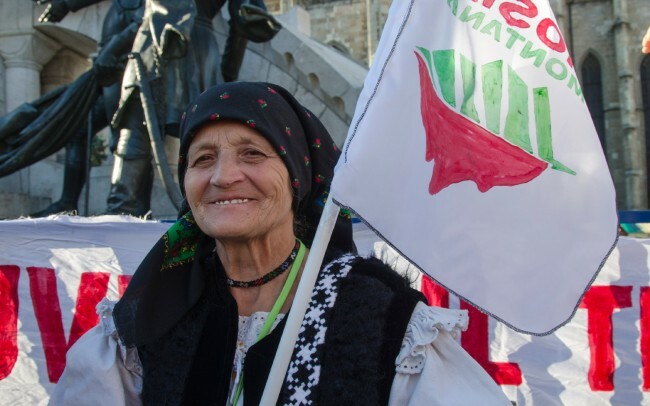 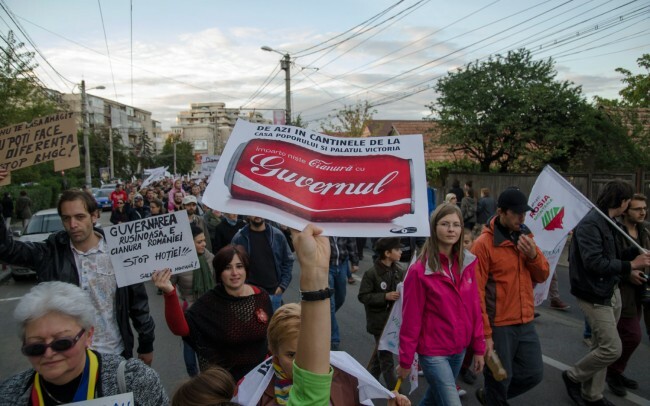 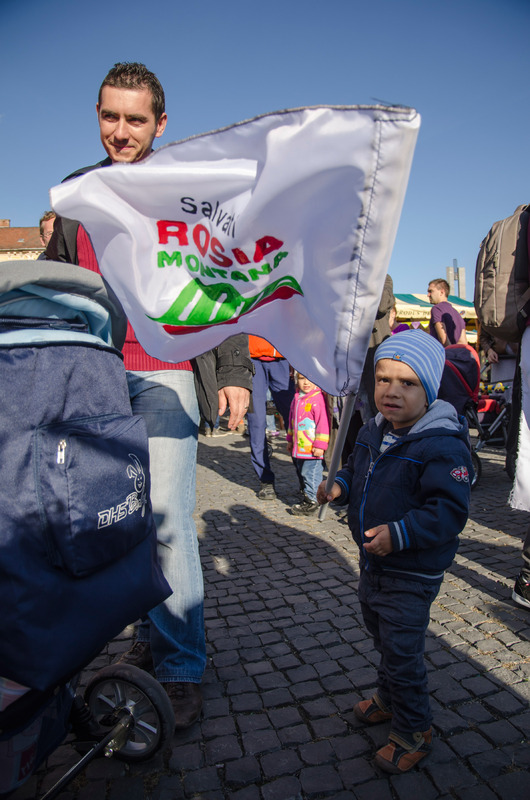 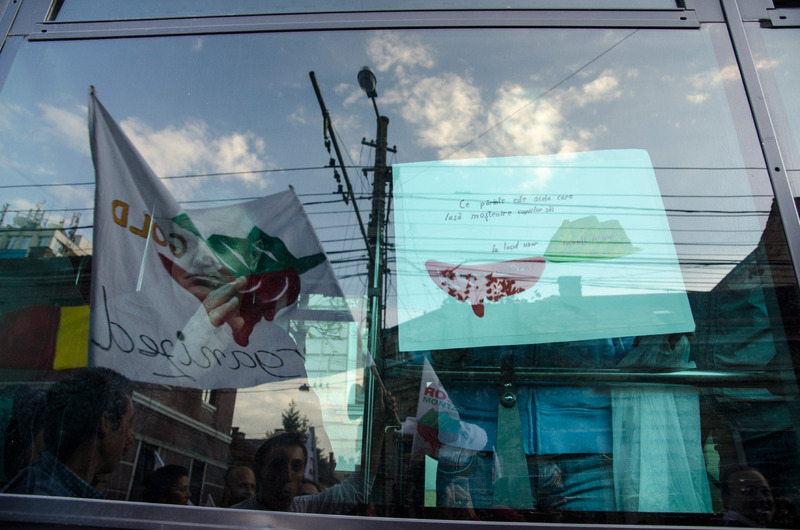 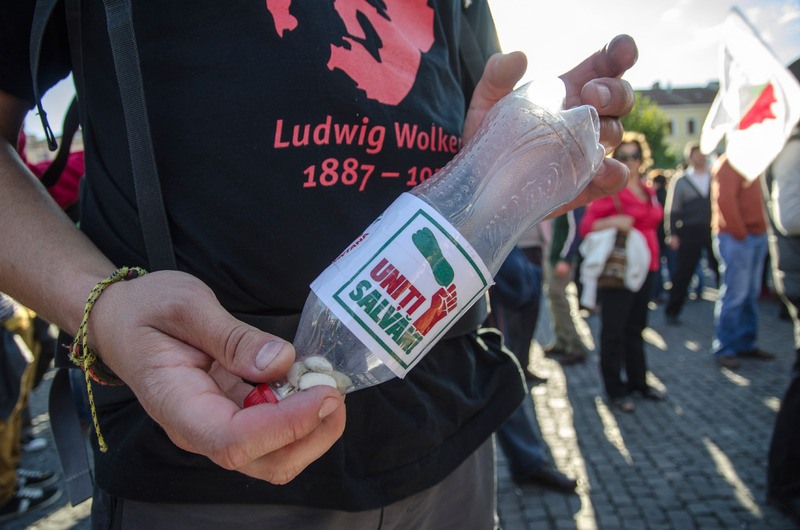 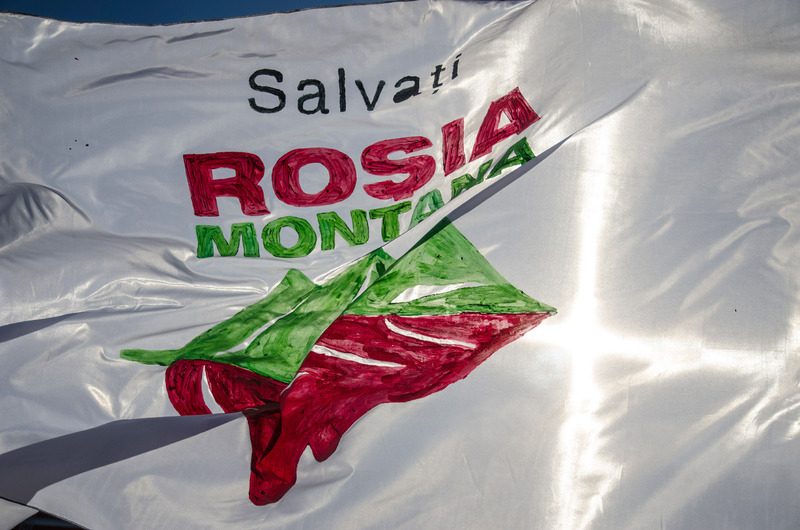 People chanted “United we save Rosia Montana” and “Not the corporation makes the legislation”. 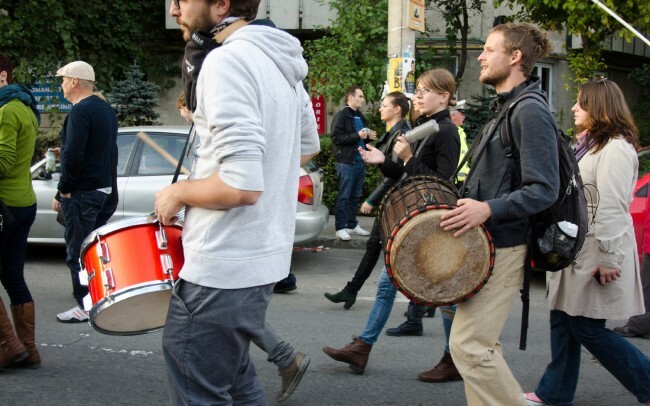 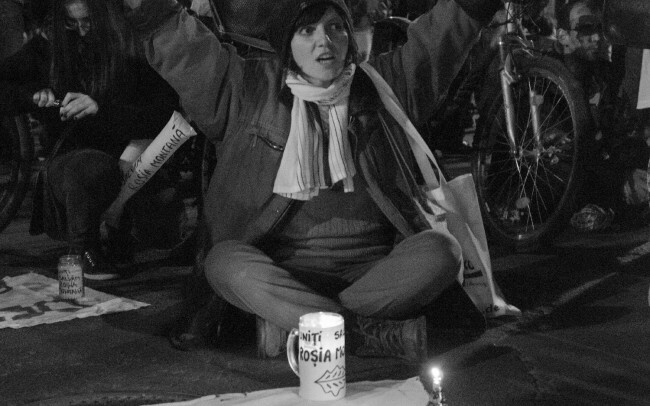 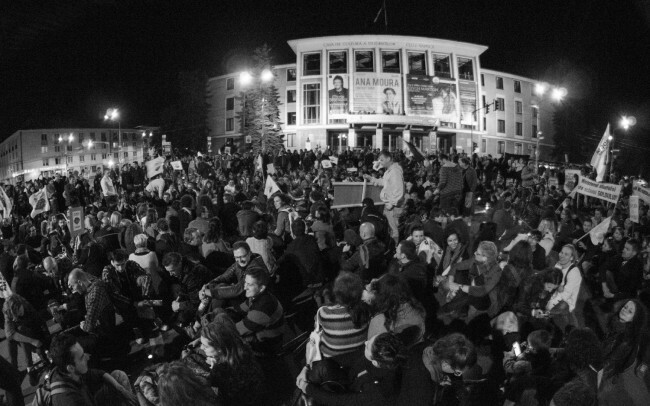 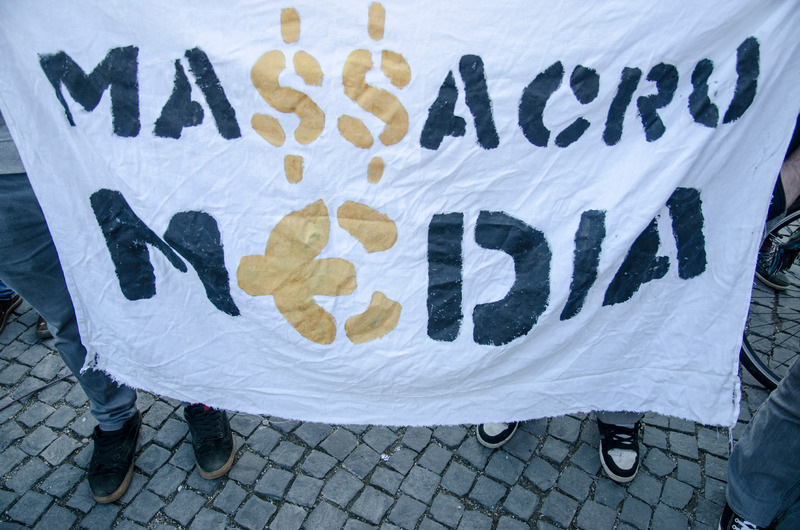 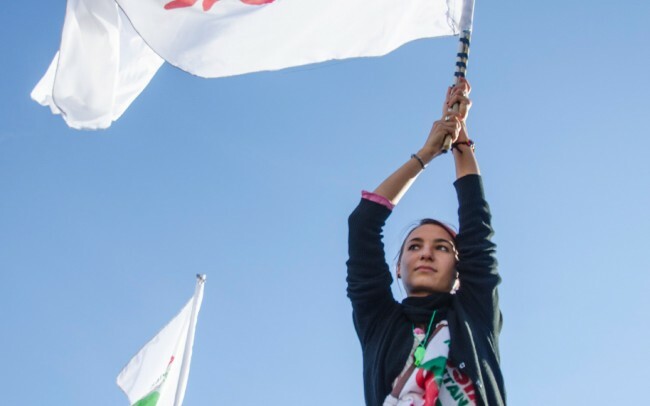 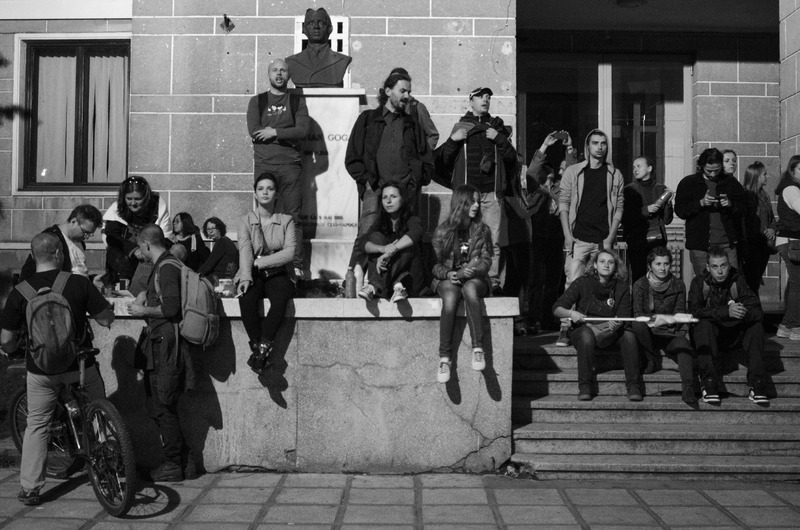 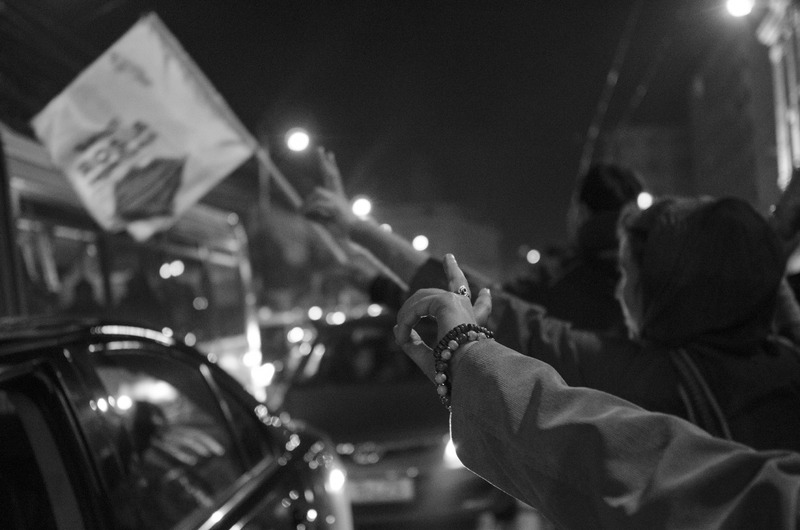 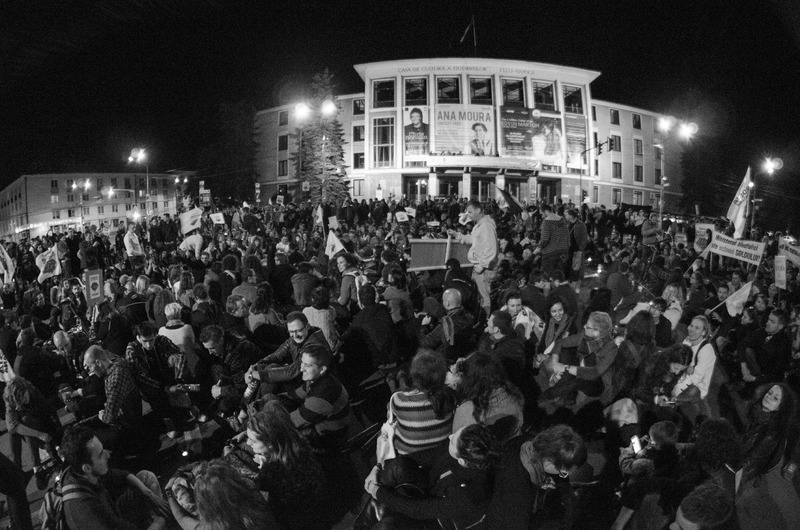 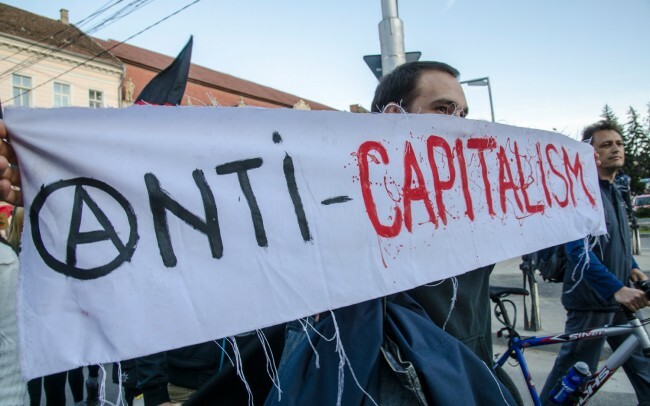 They gathered from 5pm to around 5.45 in Union Square from where they marched towards Manastur neighbourhood and back to the city center where they remained to dance and sing in front of the Student Culture House. 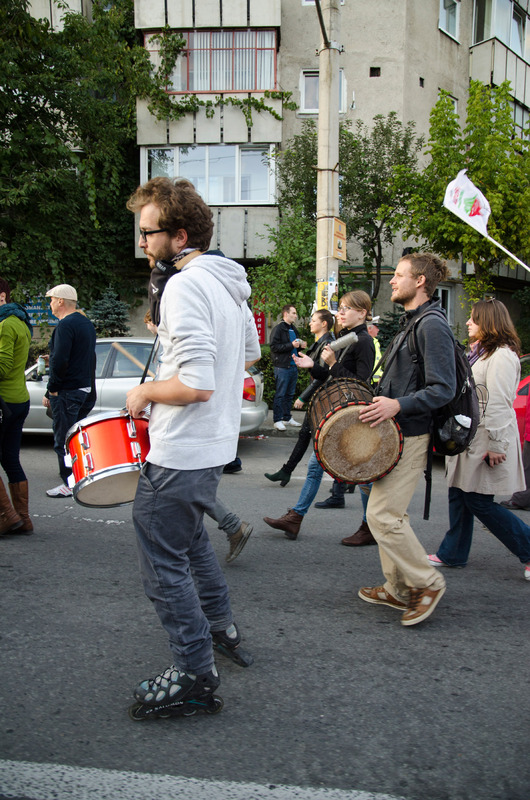 The march lasted around 3 hours and people were spread on a line of about 1.5 km. 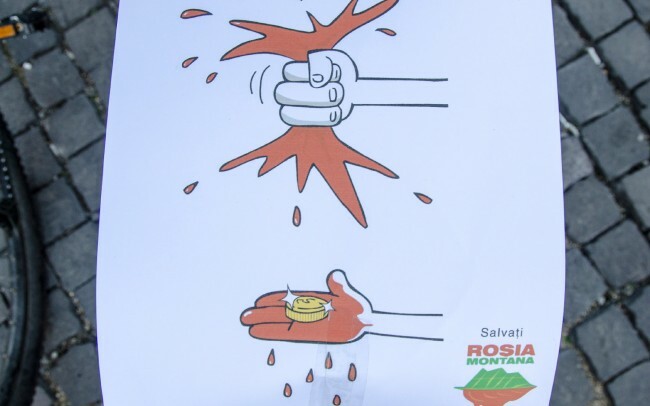 The mining project would use cyanide to mine 314 tons of gold from the historic site, according to data from Gabriel Resources Ltd., the Canadian company behind the project. 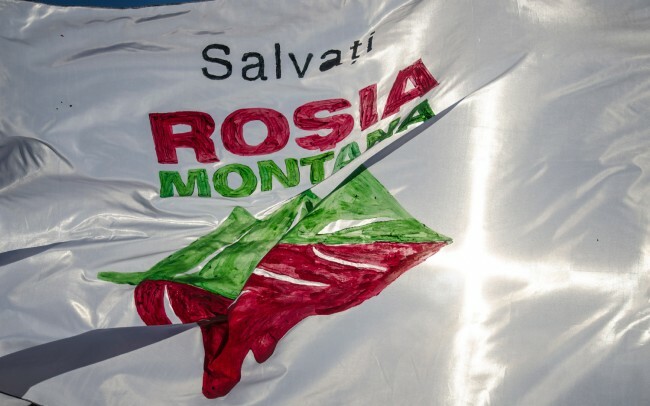 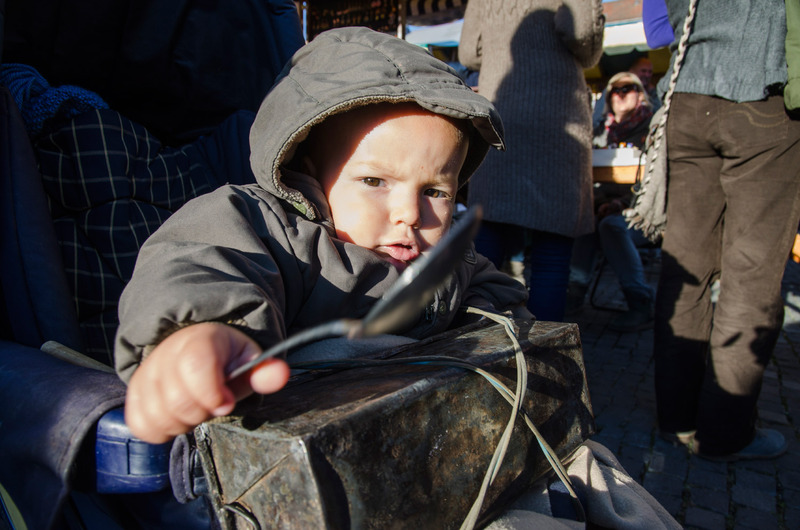 The company says it has commitments to environment and cultural heritage issues and says the project is a ‘world-class, long-term and sustainable investment,’ while critics say the move will destroy historic villages and ancient gold mines.